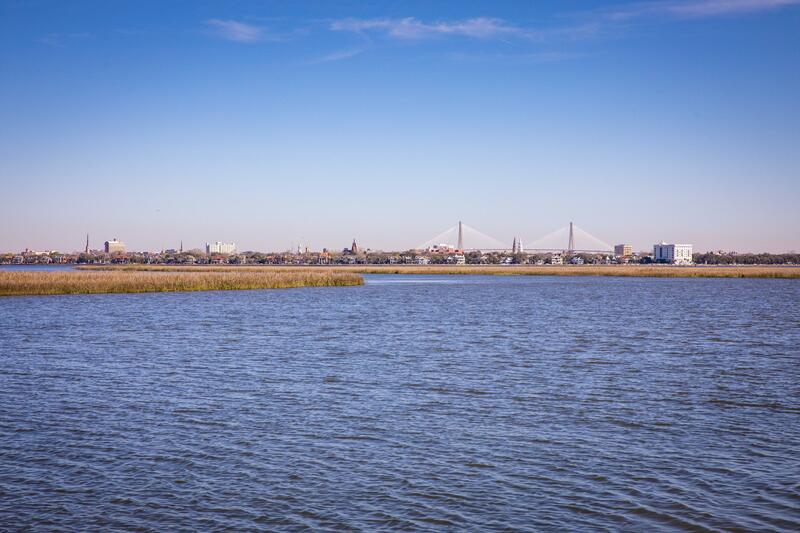 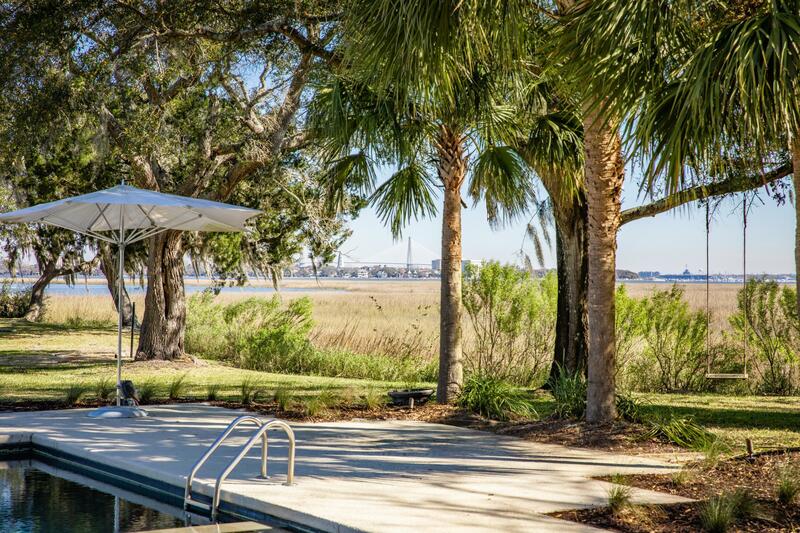 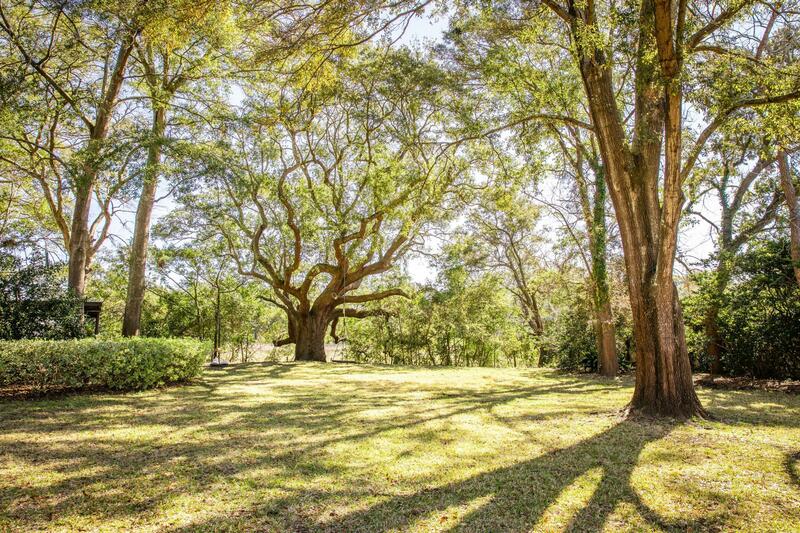 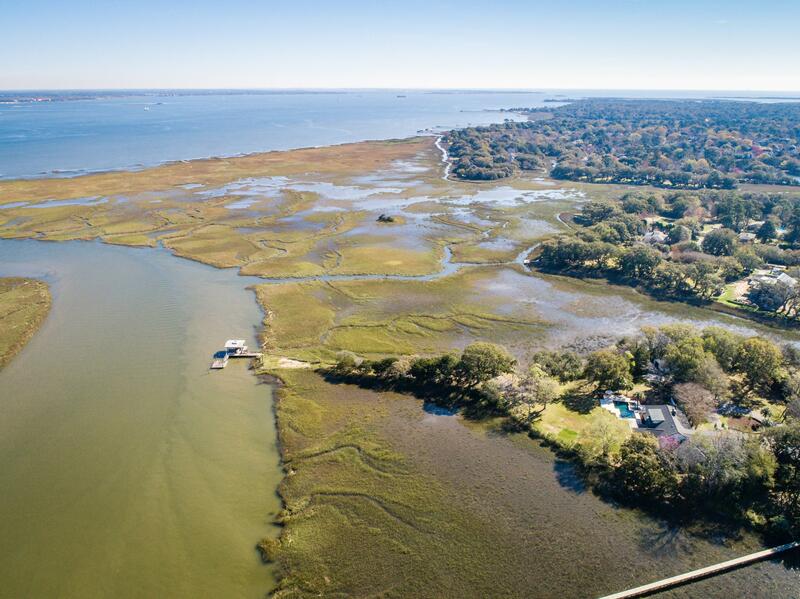 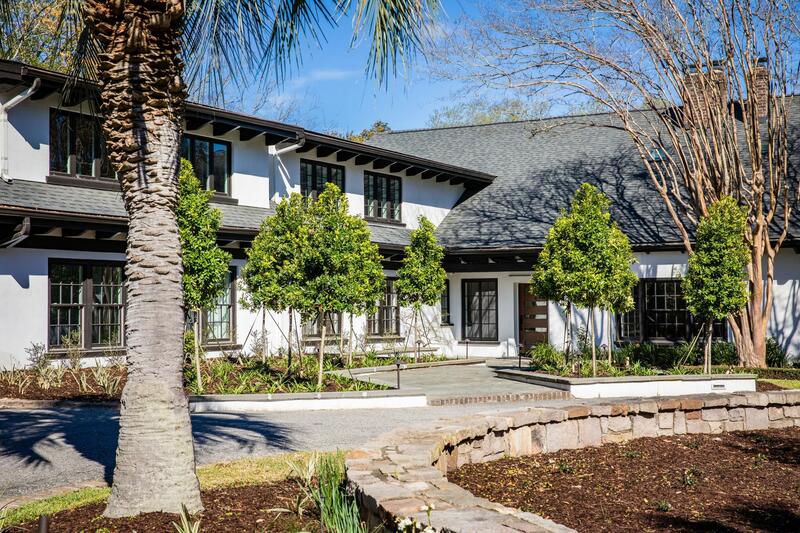 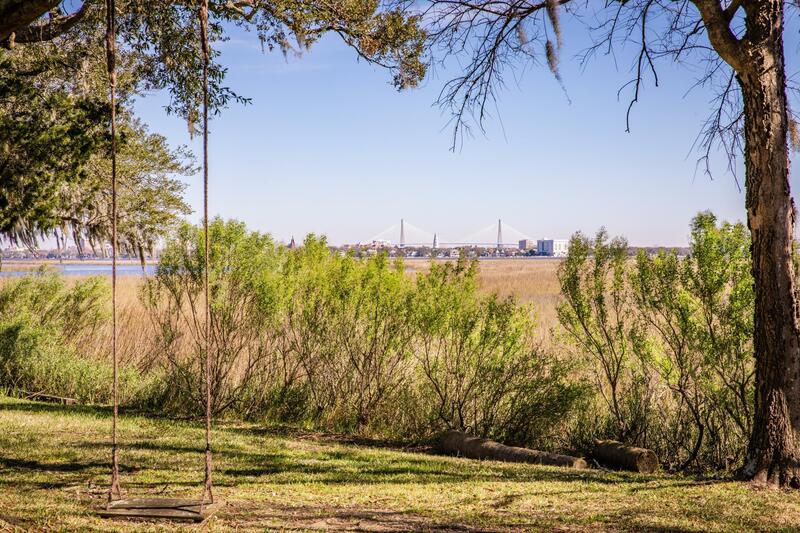 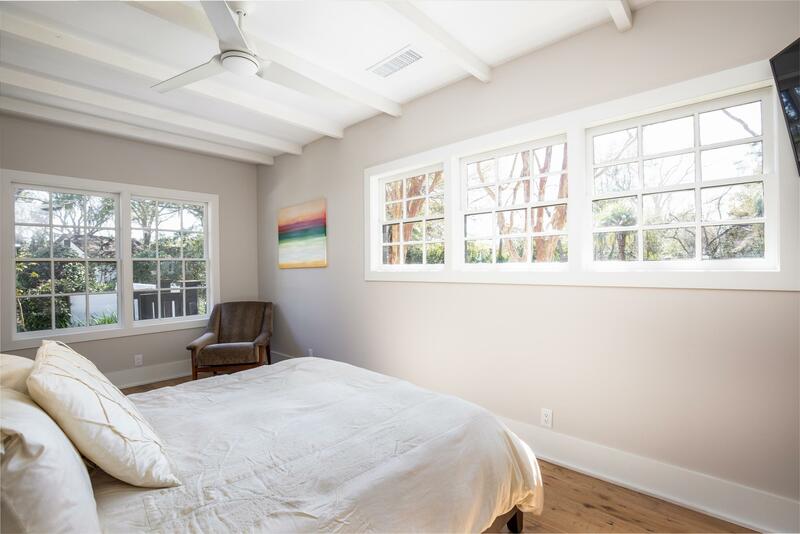 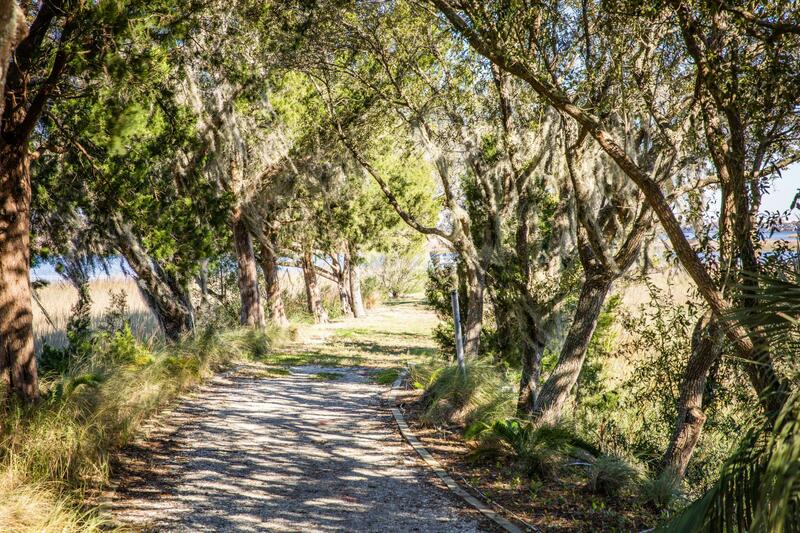 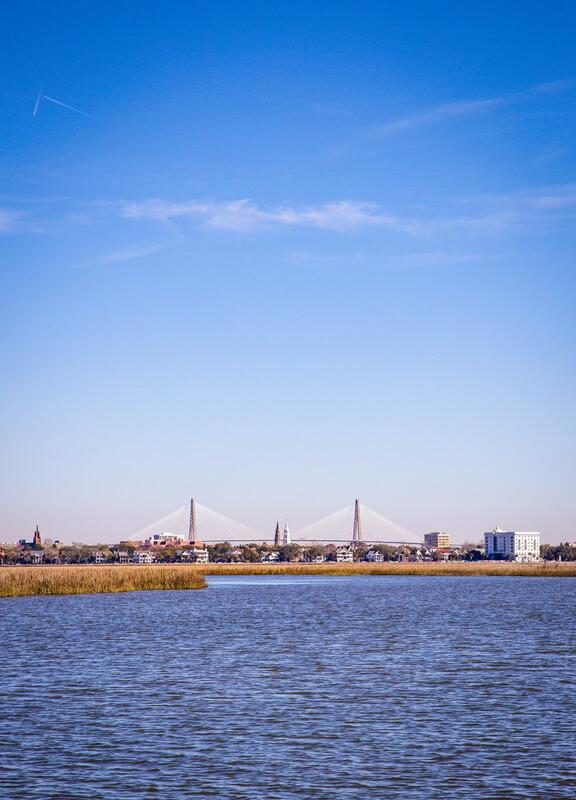 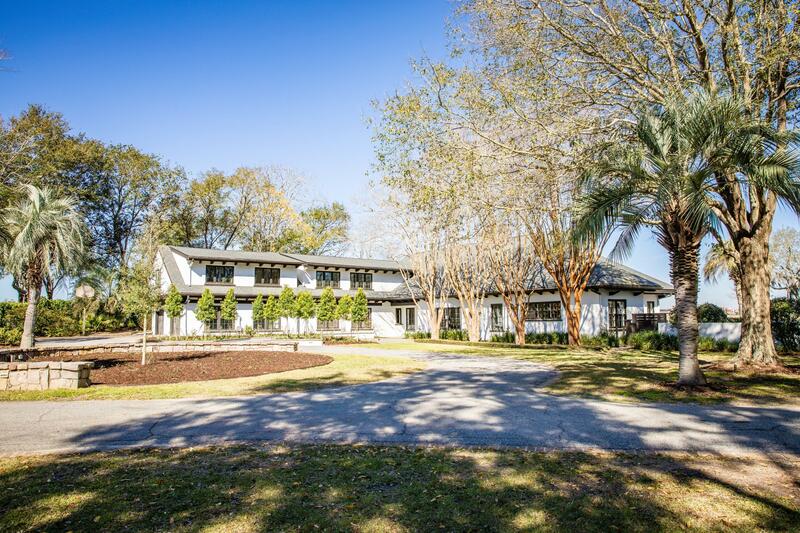 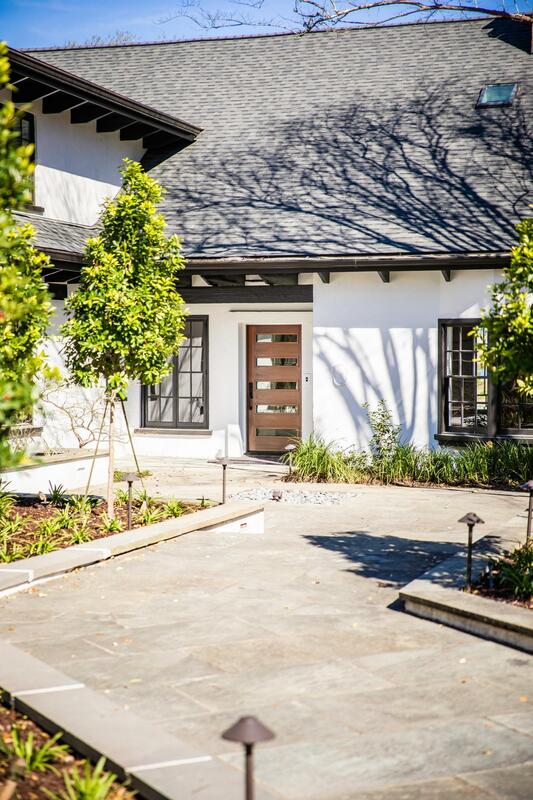 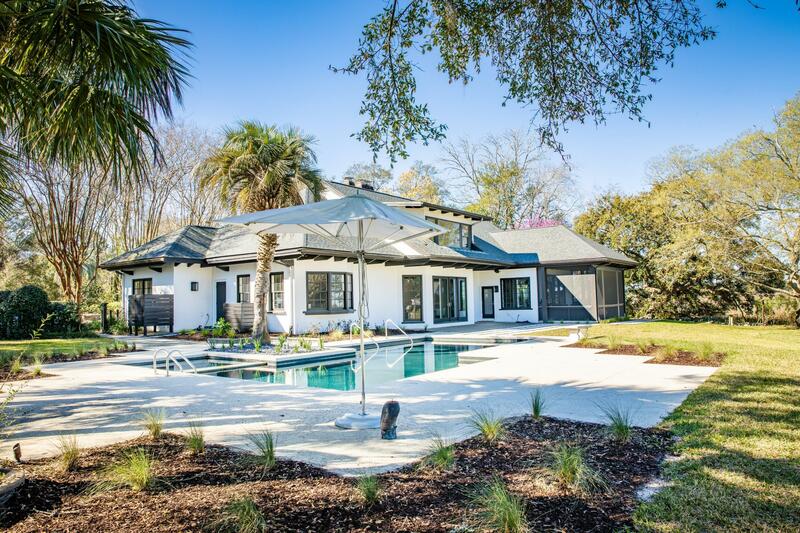 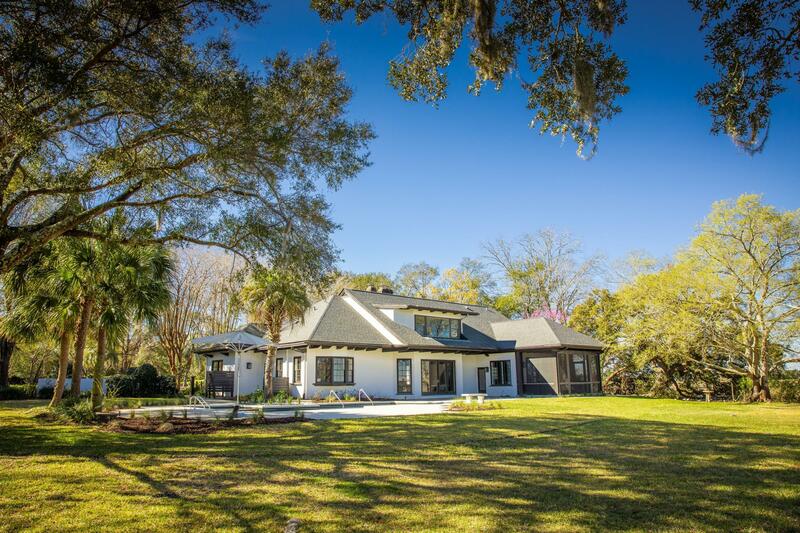 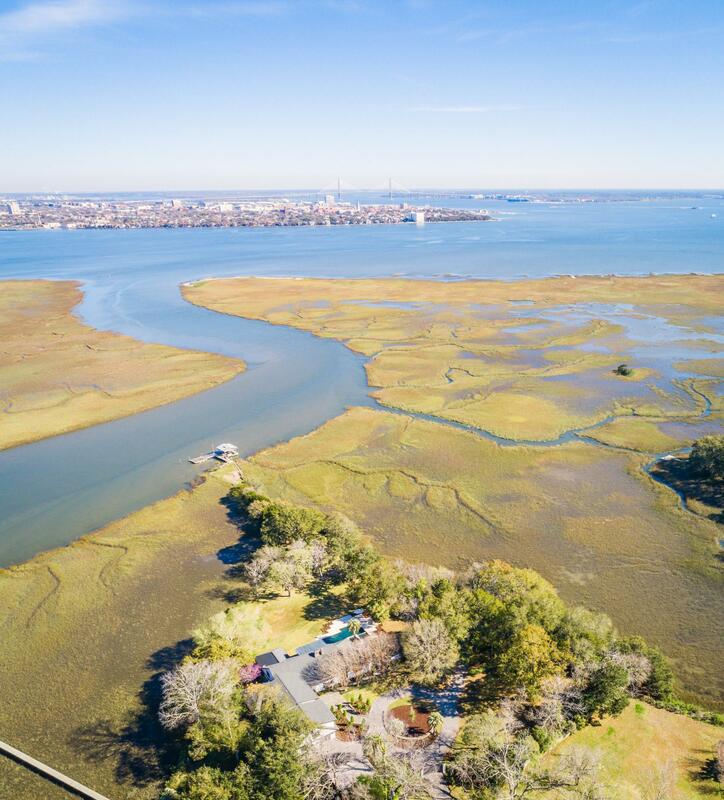 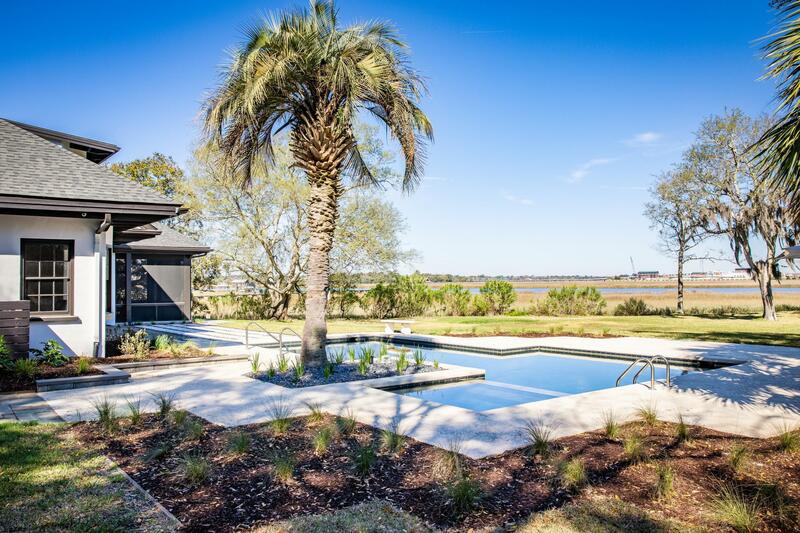 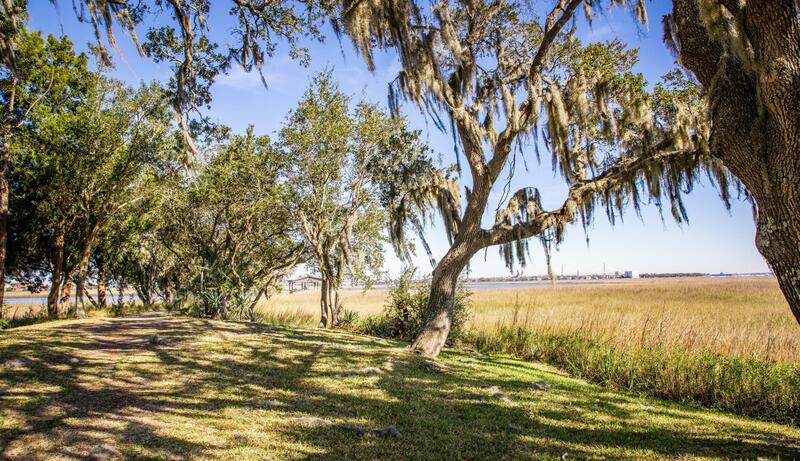 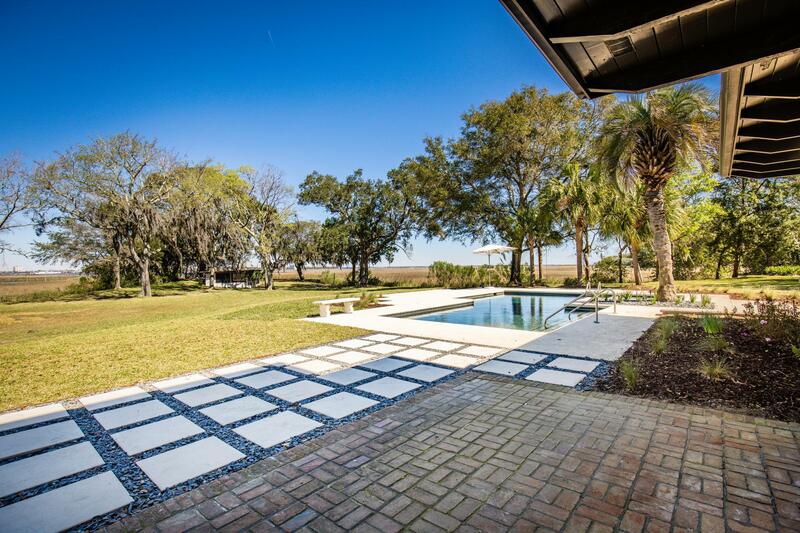 Just minutes from downtown Charleston, with this superb gated property you can have it all! 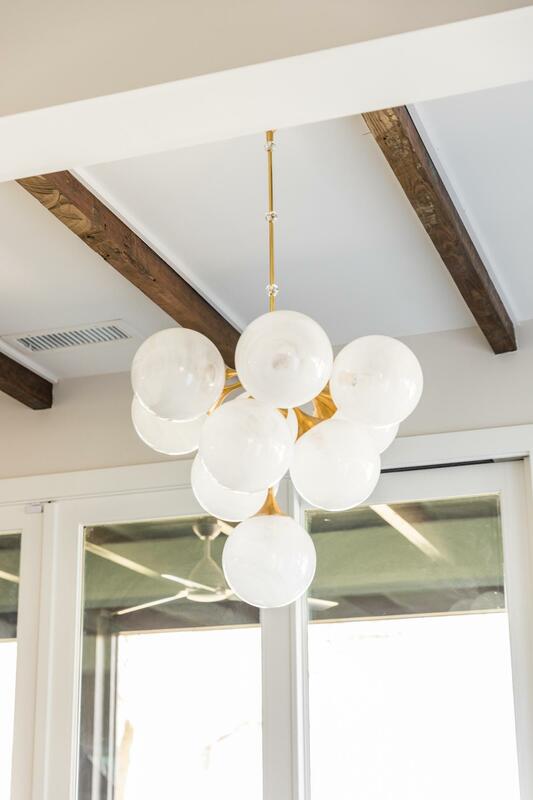 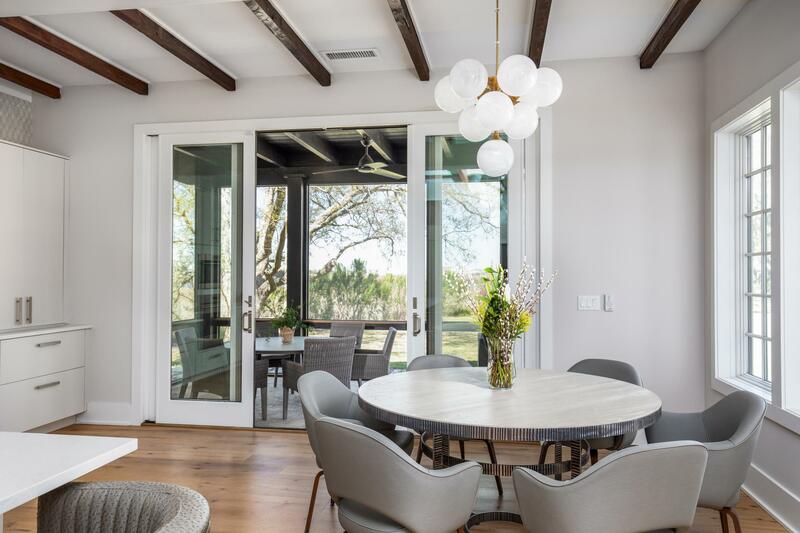 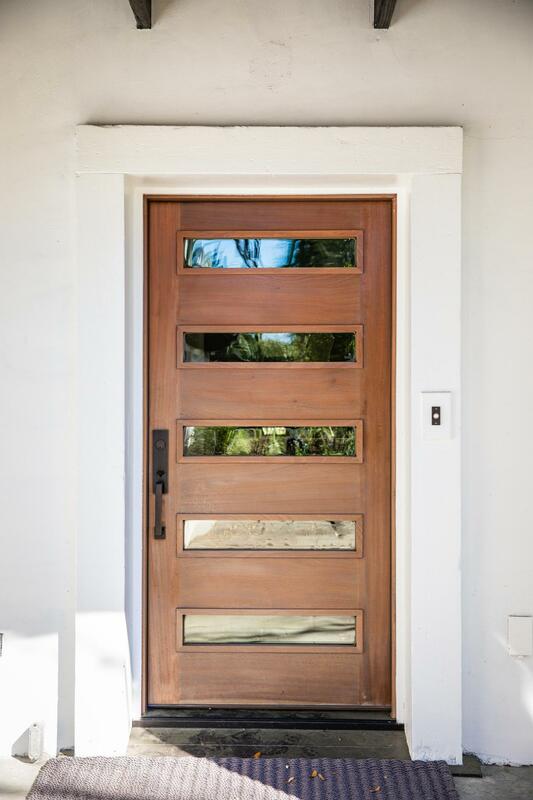 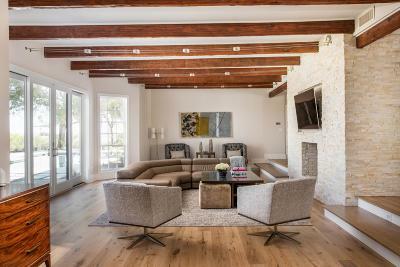 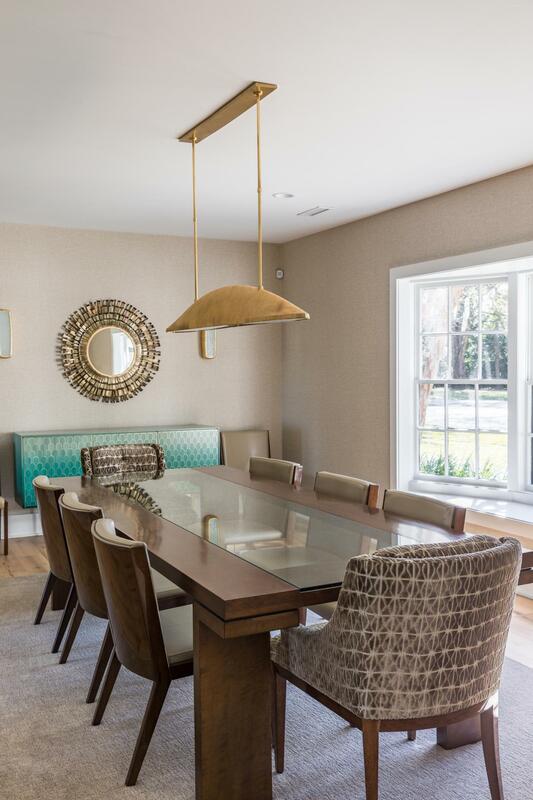 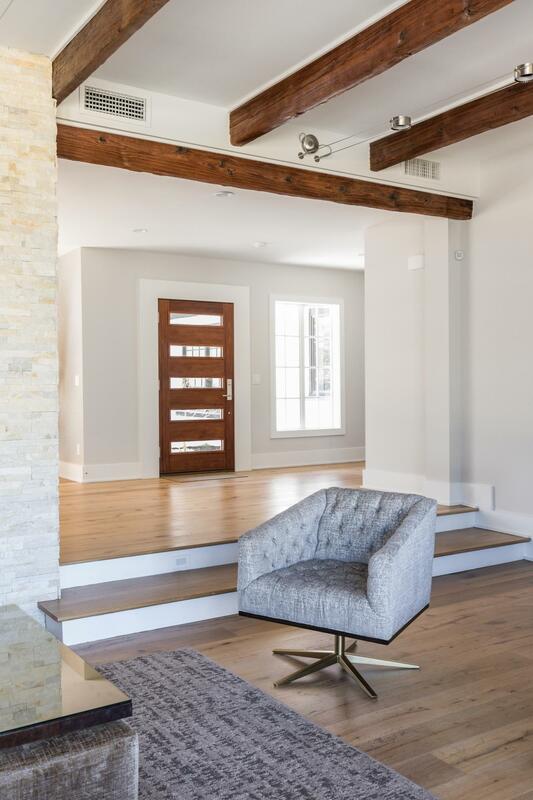 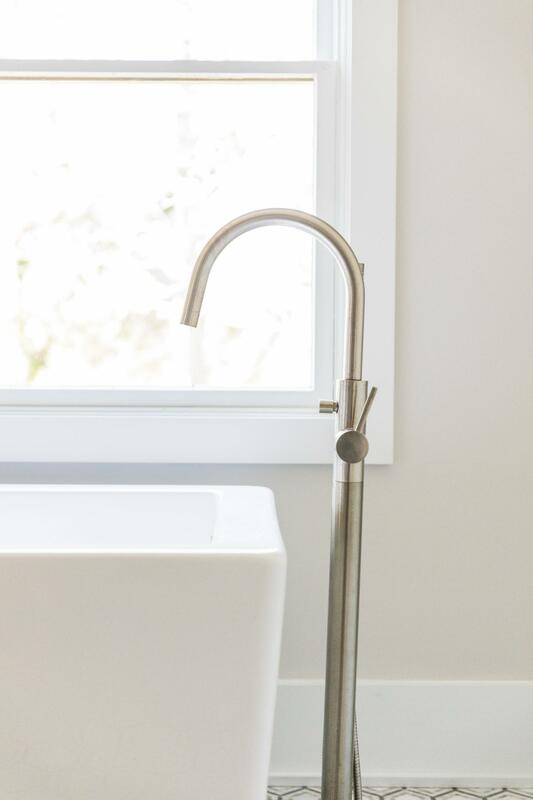 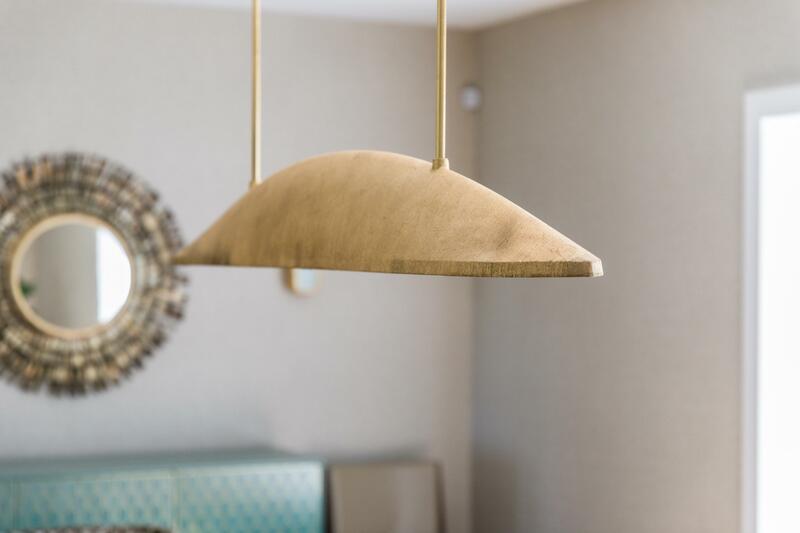 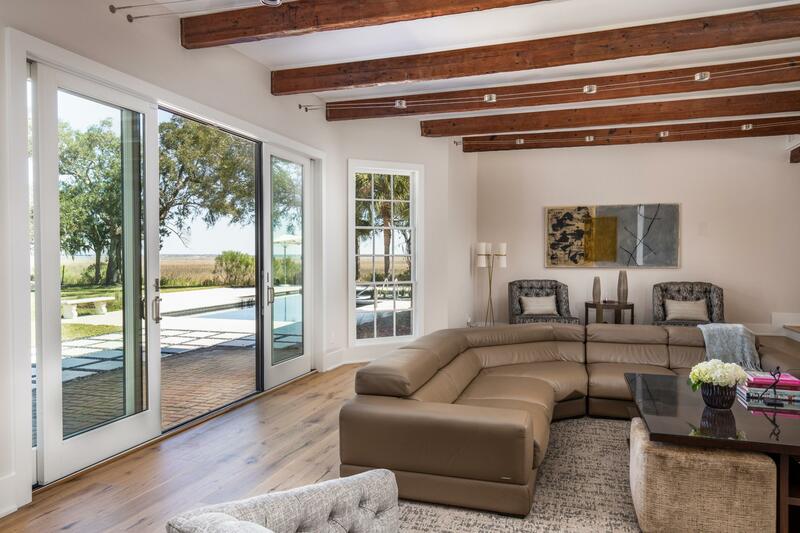 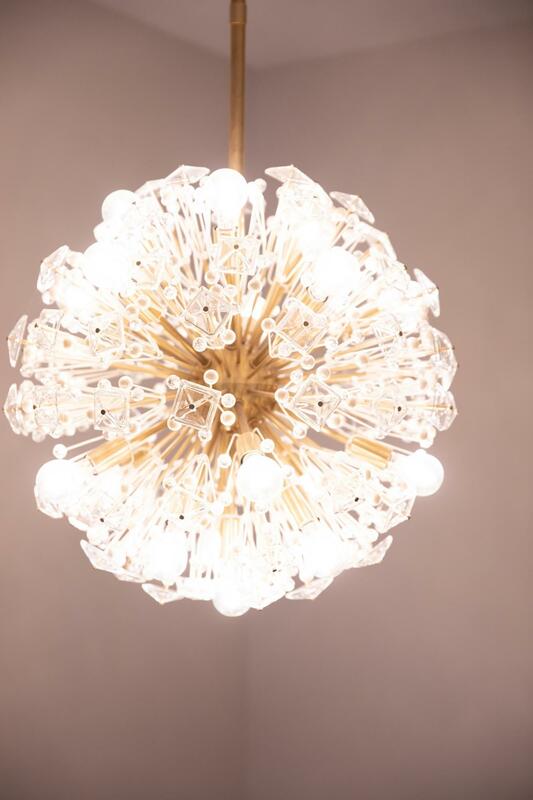 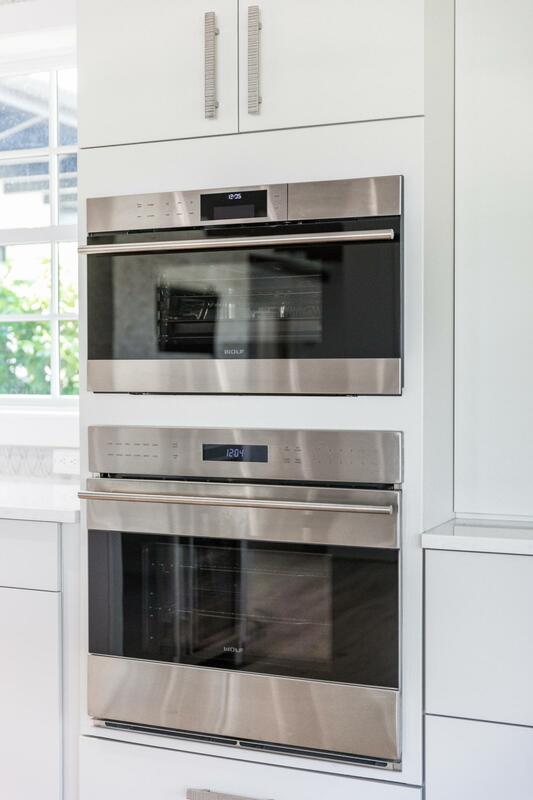 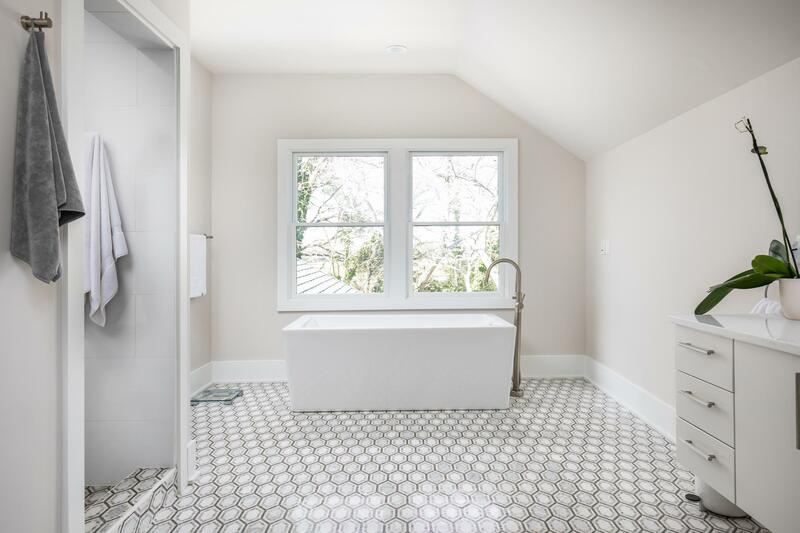 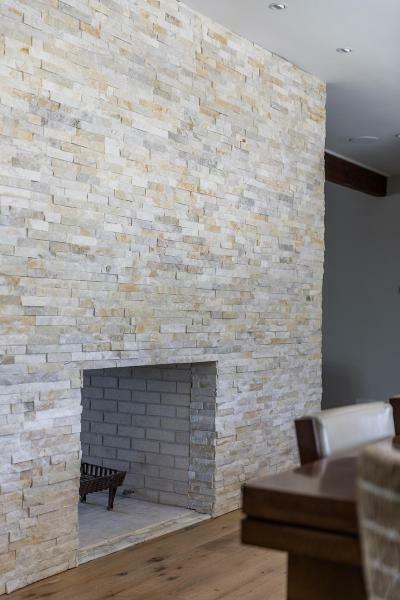 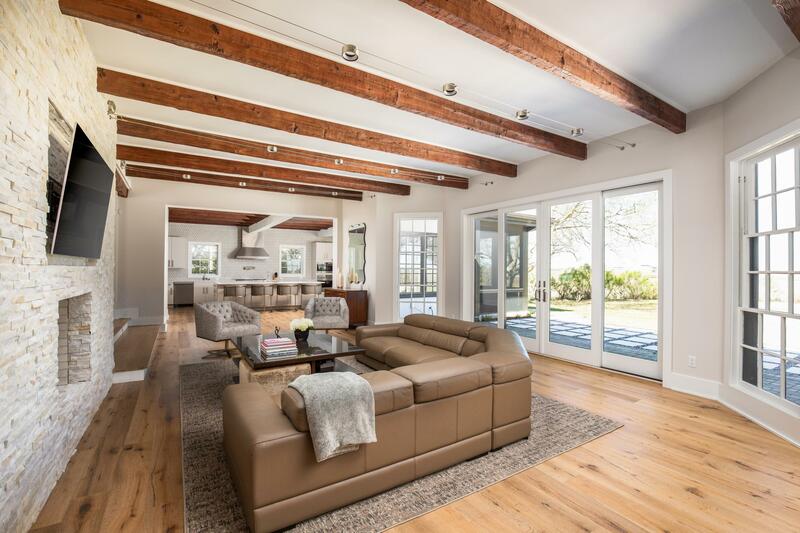 Renovated in 2017, this magnificent home has stunning top-of-the-line finishes and workmanship managed in close coordination with designer Marie-Laure Kosian of ML Design. 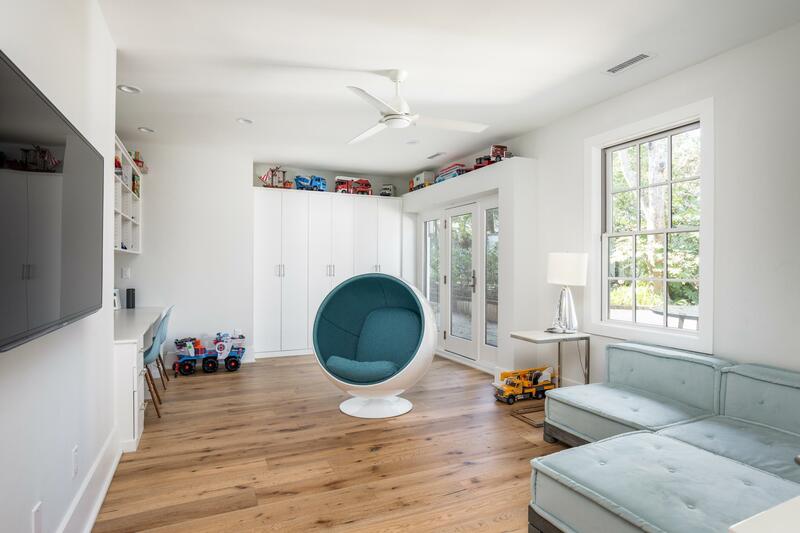 The open floor plan makes daily family living and entertaining a joy. 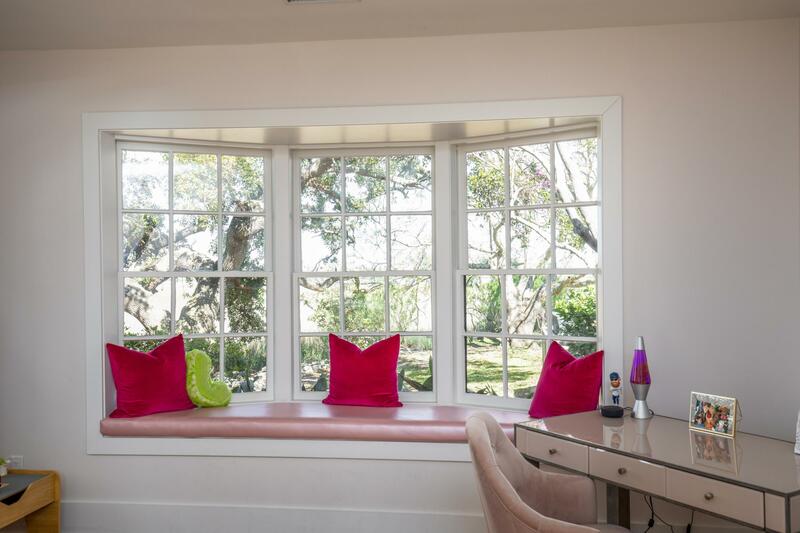 There are spectacular views from every room! 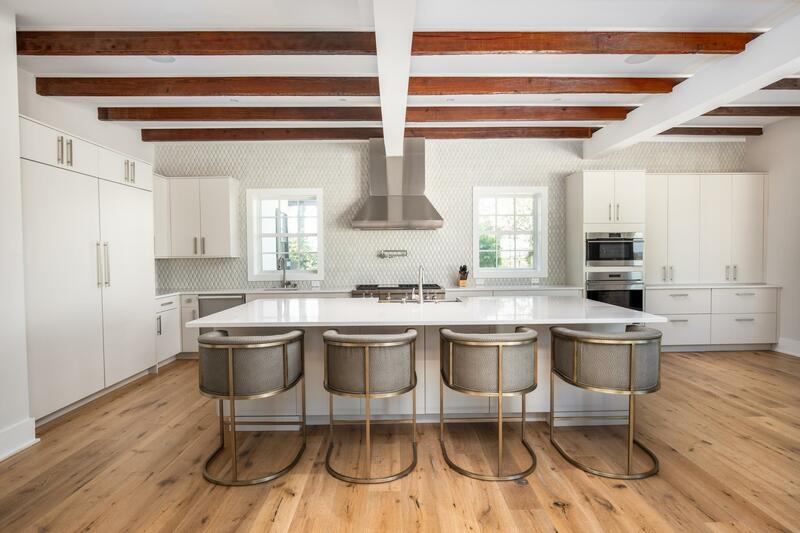 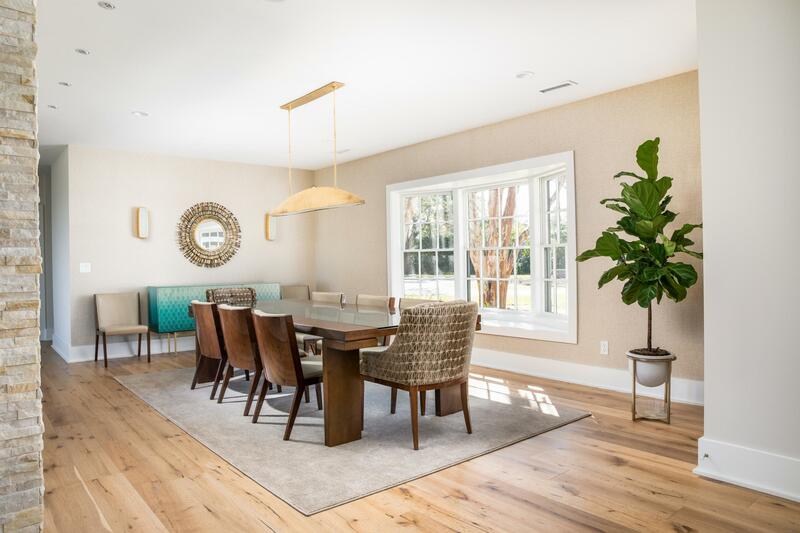 The large, gracious eat-in kitchen--the heartbeat of every home--has top-tier amenities, from the generous island to appliance choices, all in exquisite finishes (see list uploaded on MLS). 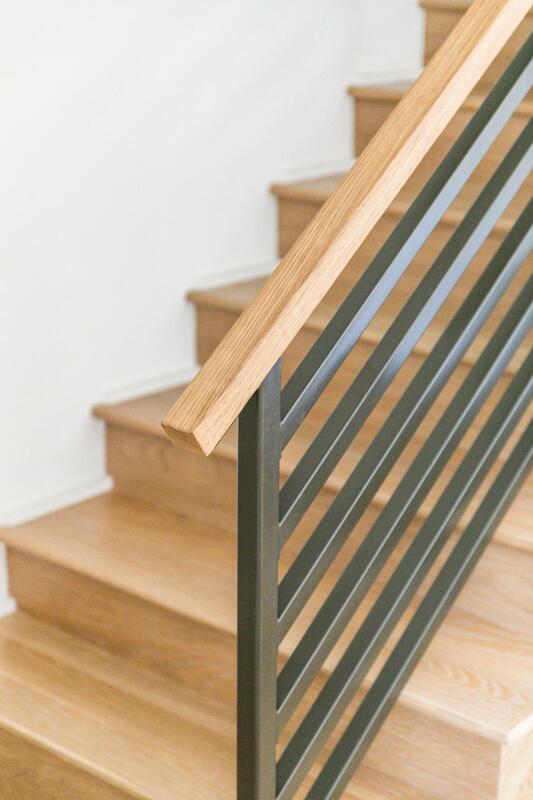 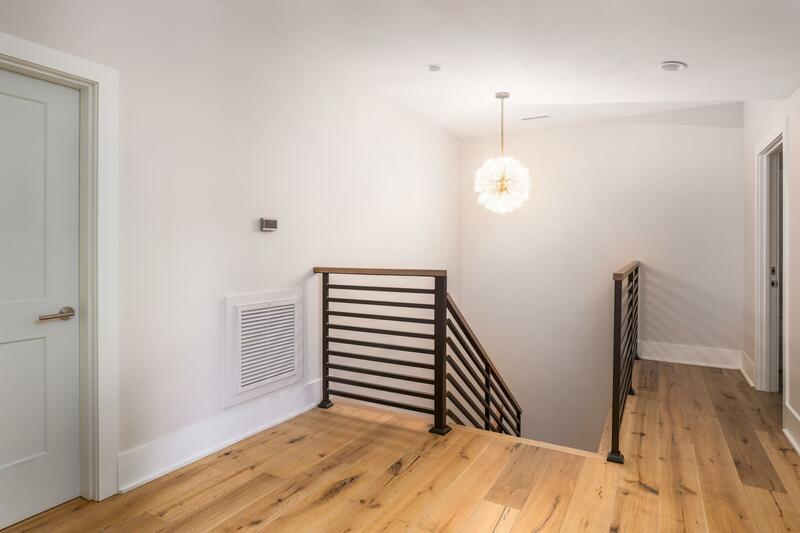 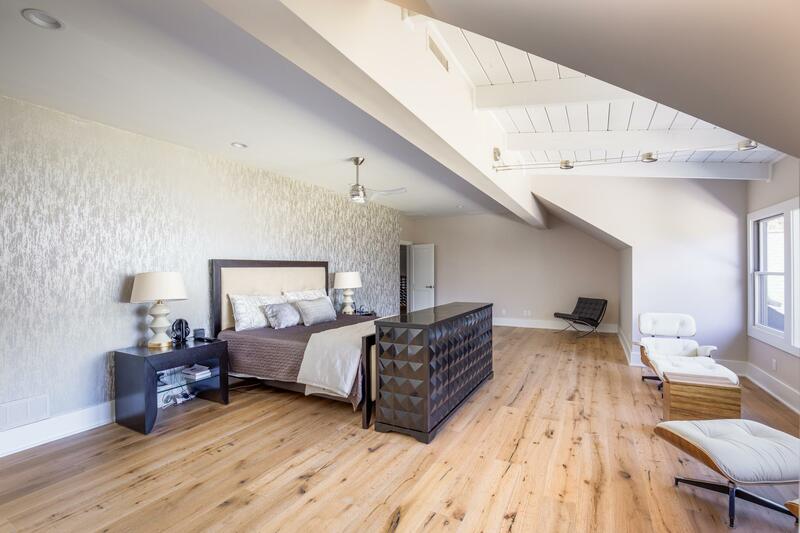 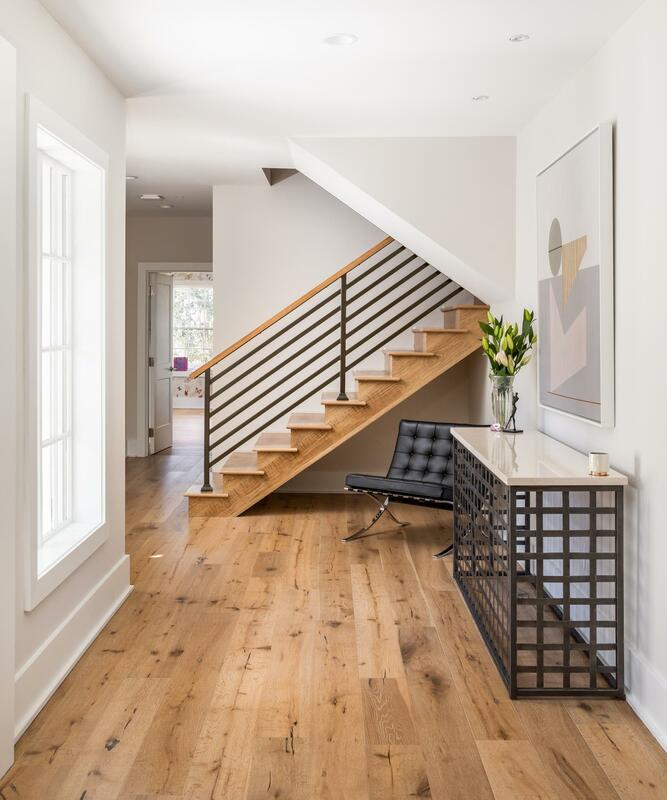 Floors are handsome wide- plank French white oak. 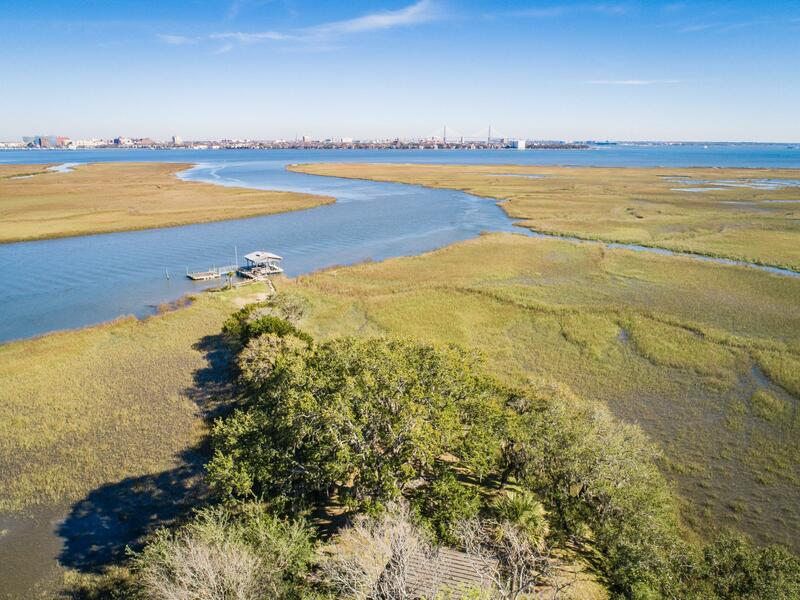 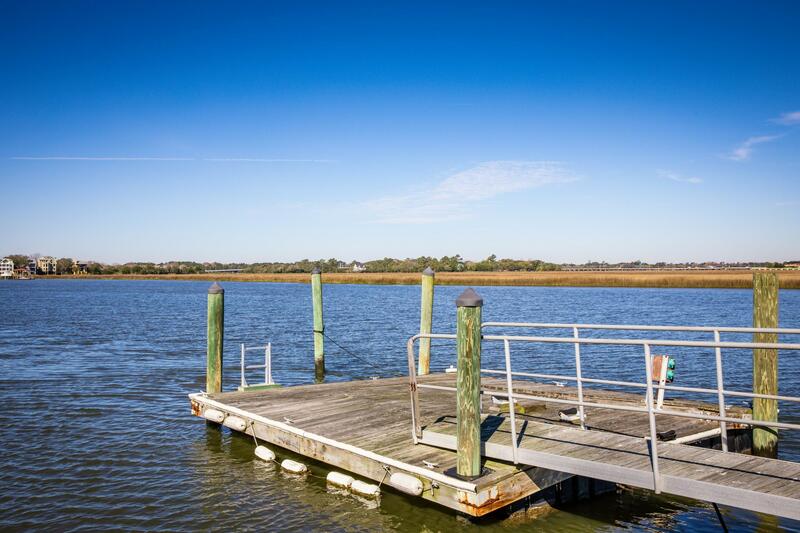 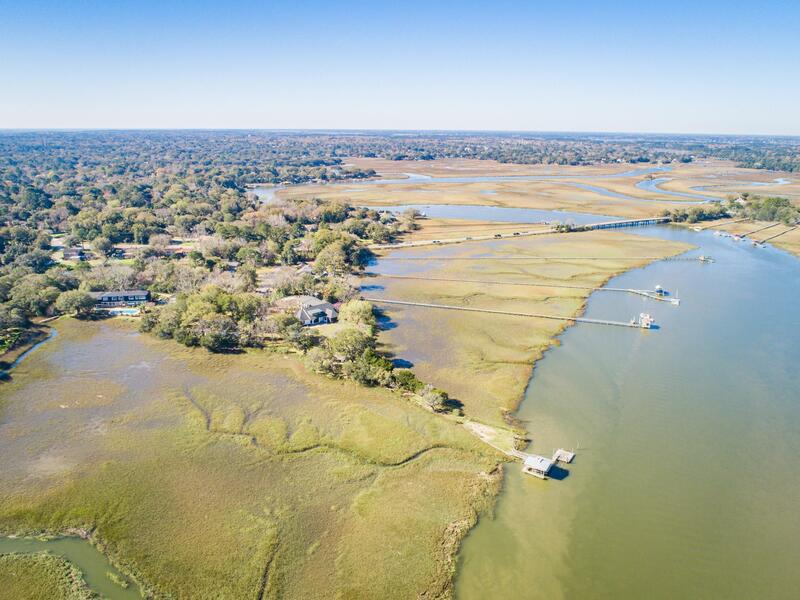 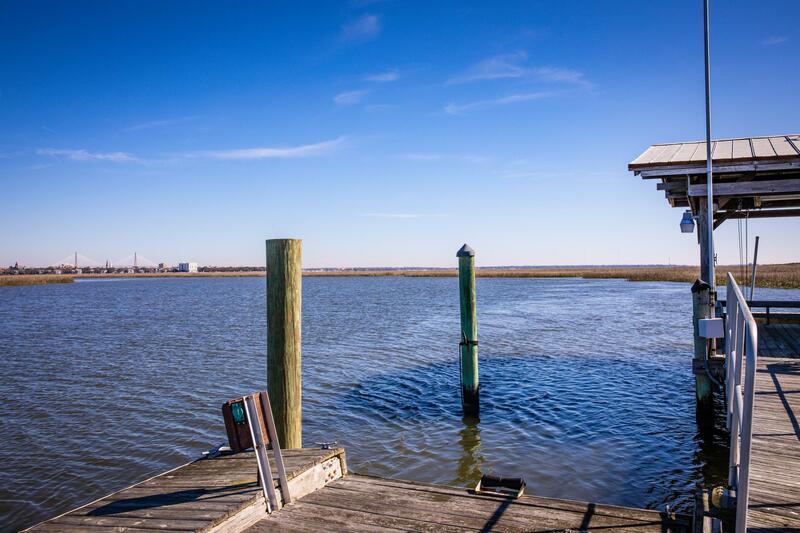 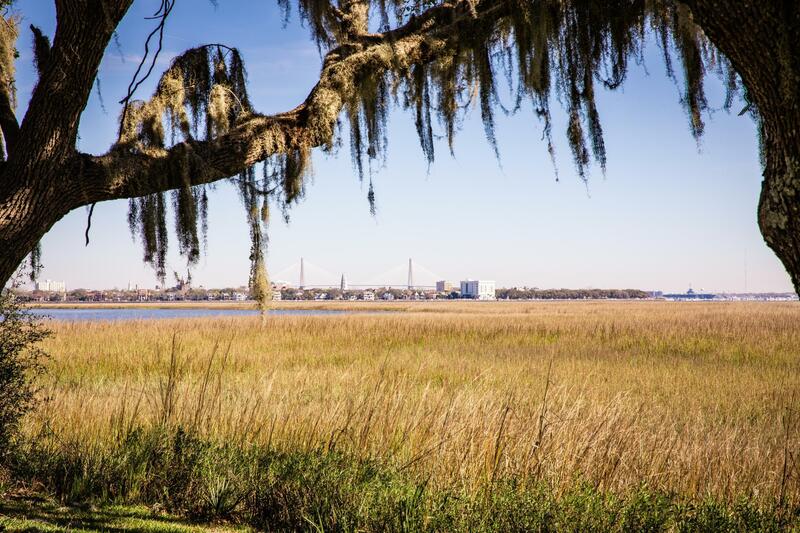 From the private deepwater dock on James Island Creek, it is a very short boat ride to the Ashley River and Charleston Harbor. 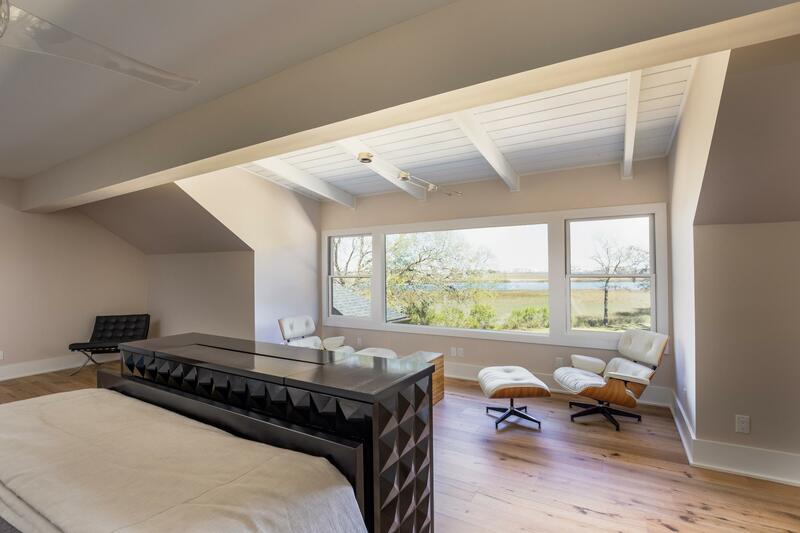 The luxurious master bedroom boasts 180-degree views of nature. 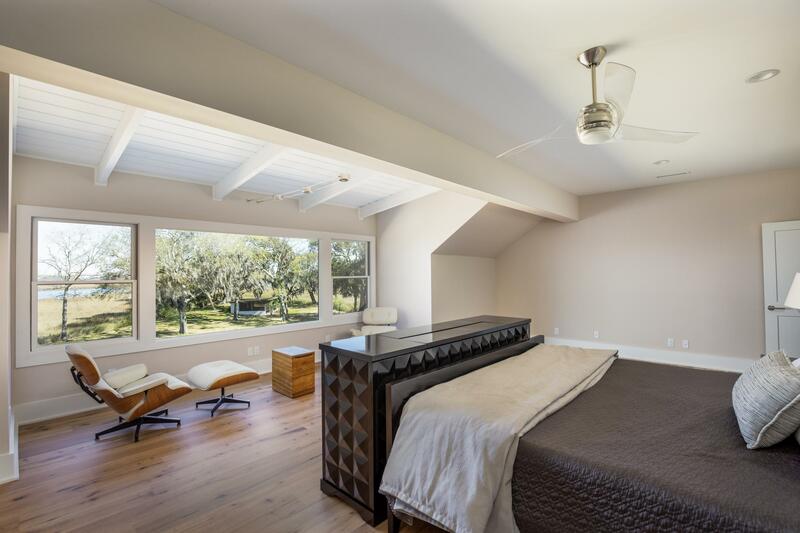 It feels like being in an amazing tree house with every convenience. 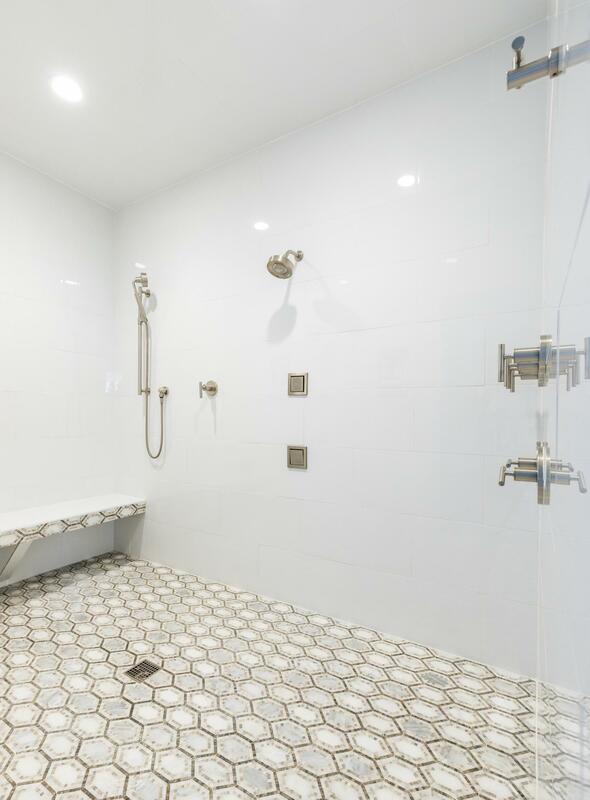 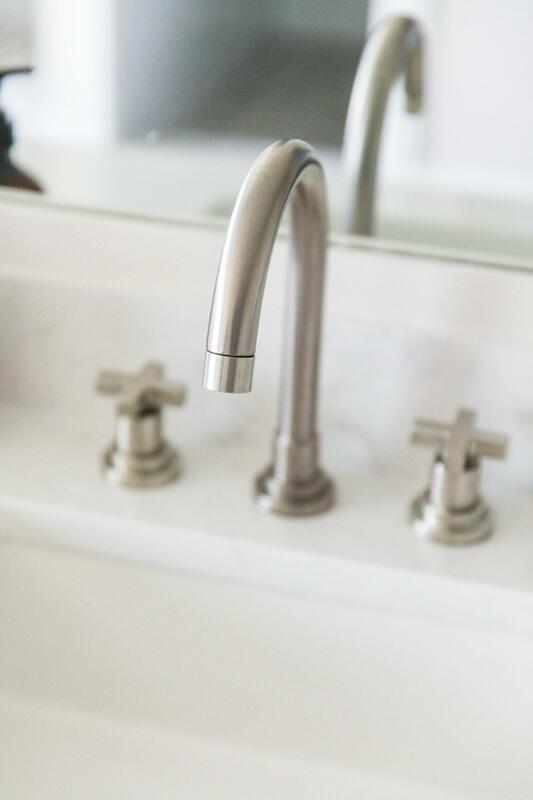 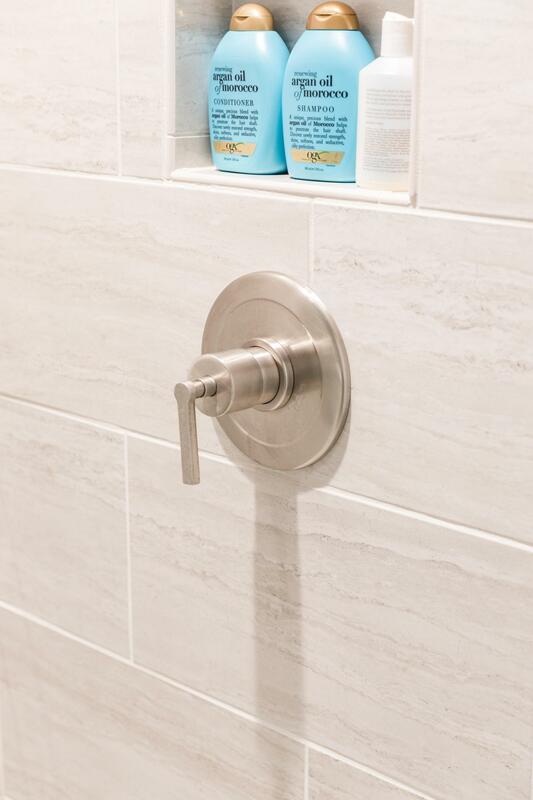 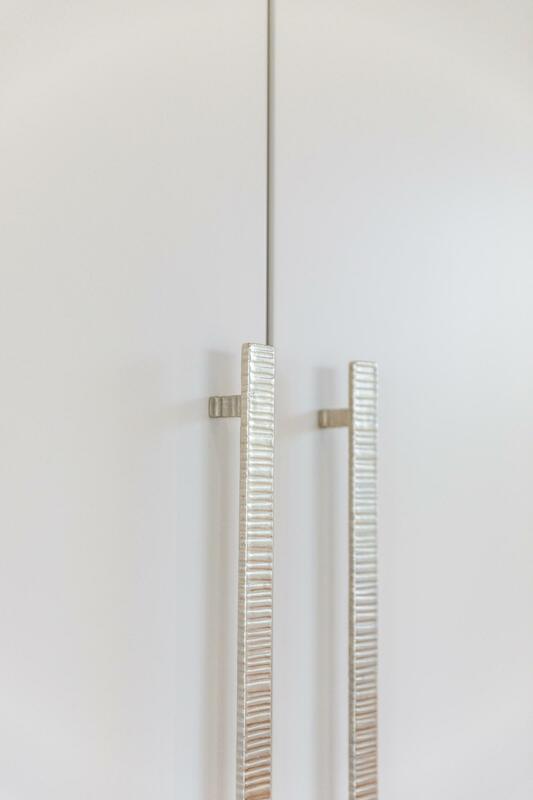 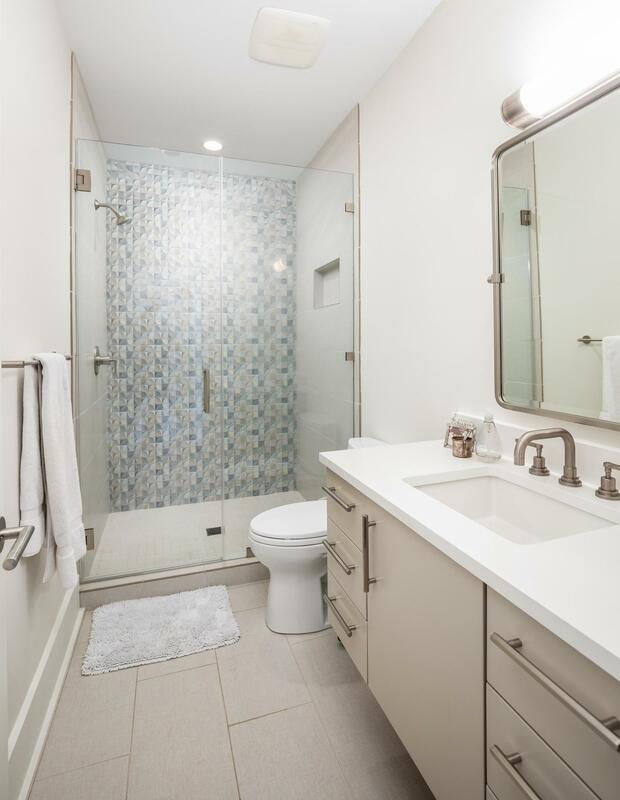 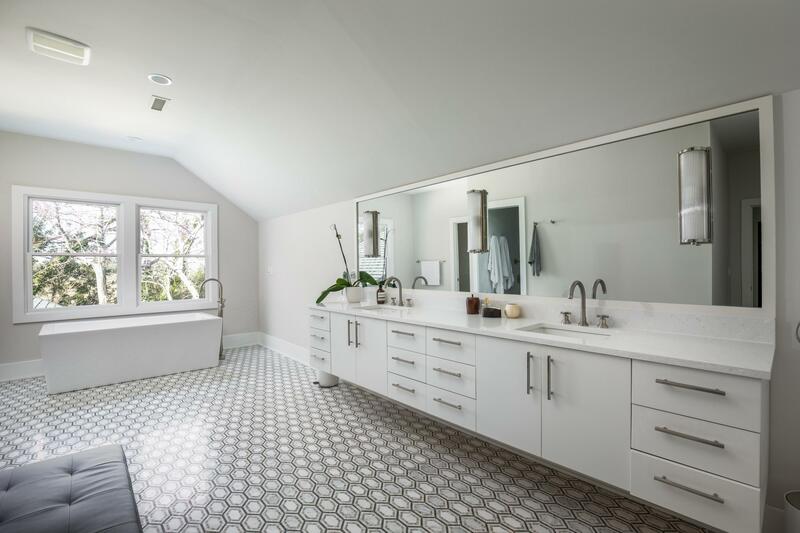 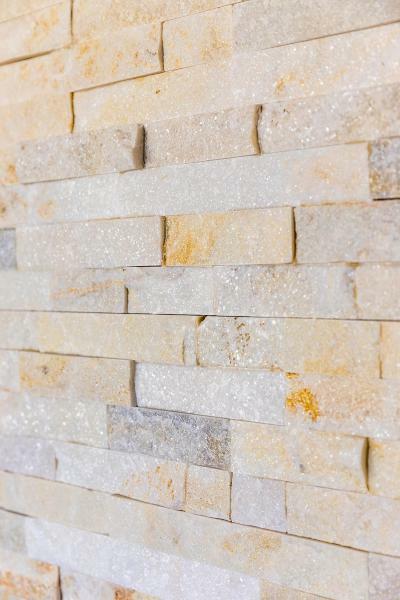 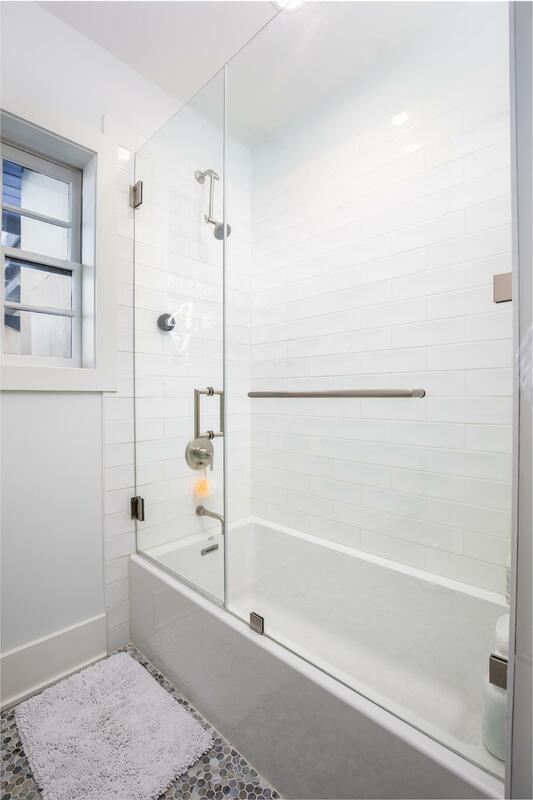 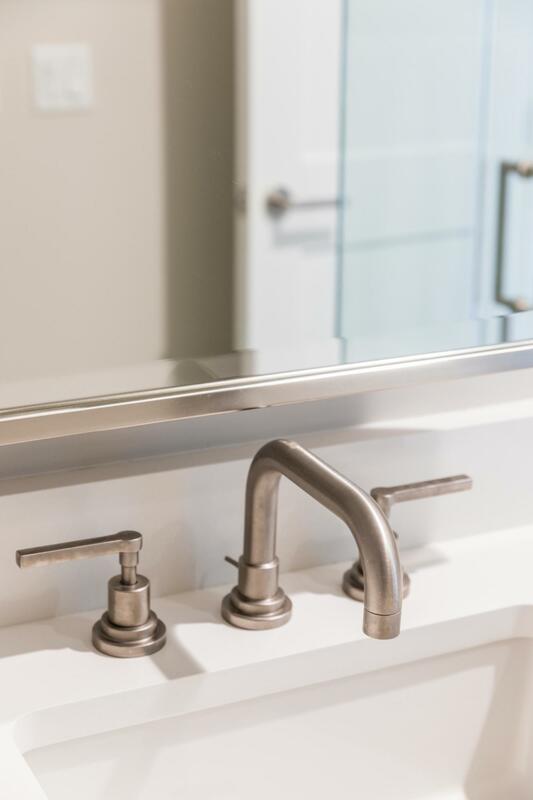 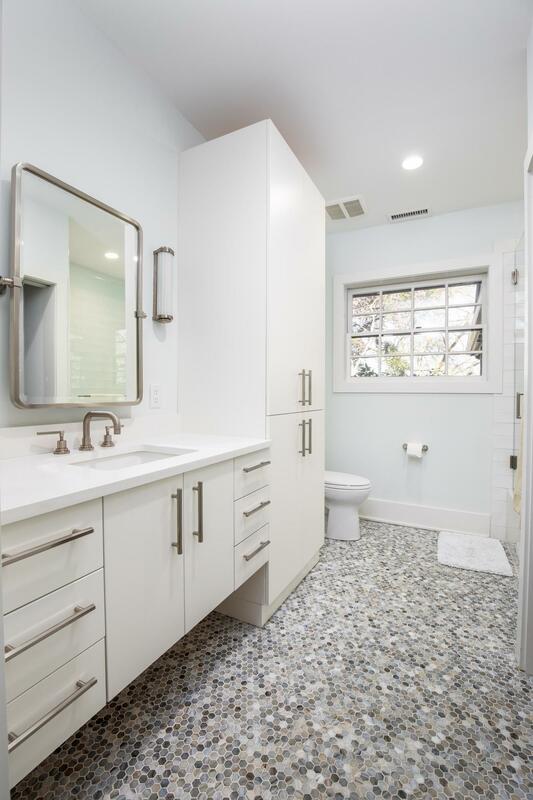 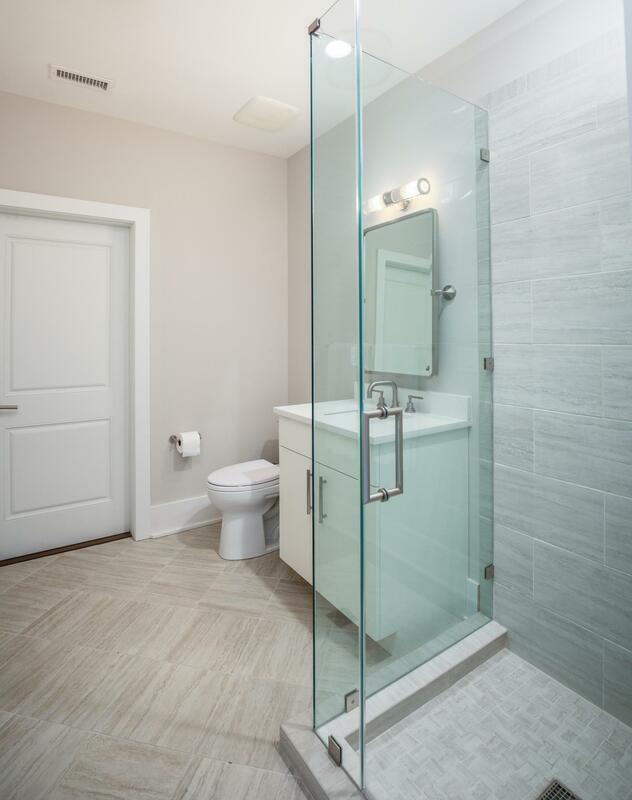 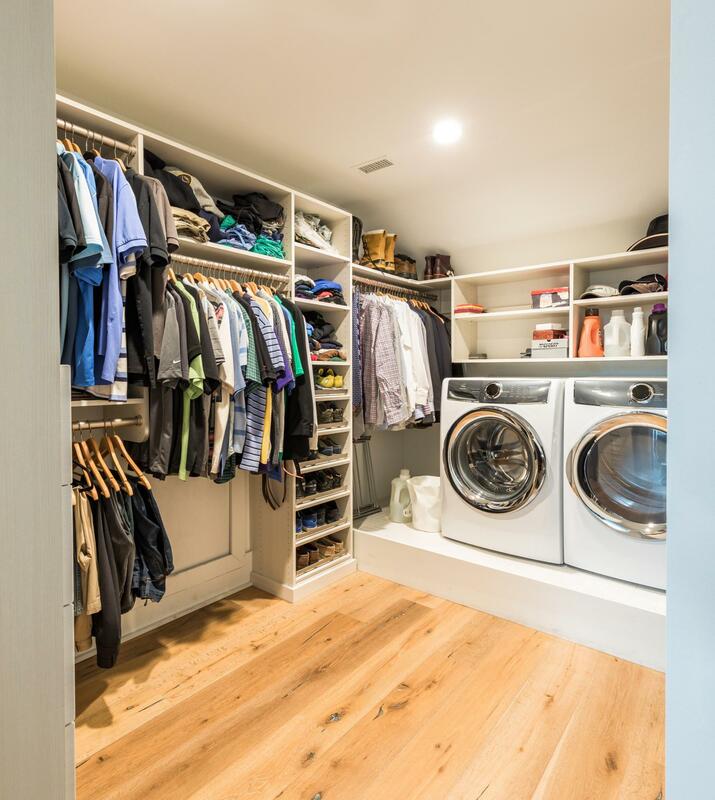 The elements of the master bathroom and closet are exquisitely planned and of the highest quality. 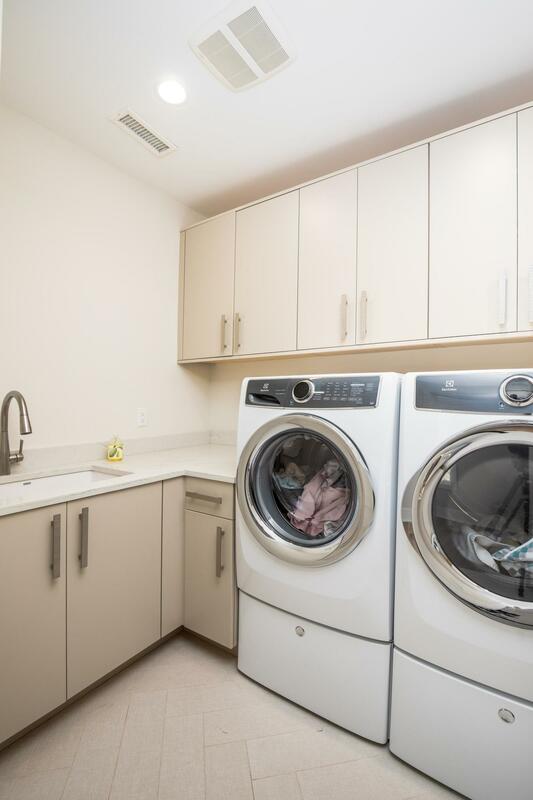 The master suite also has its own washer and dryer. 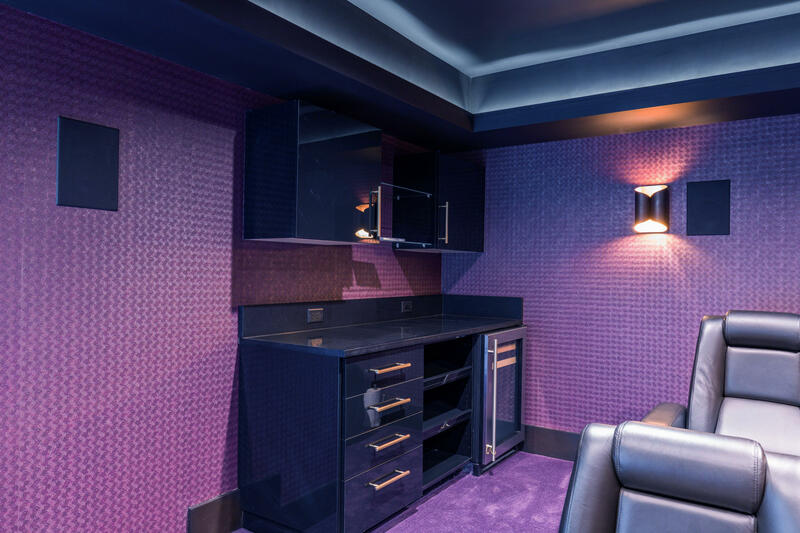 Separate home theater. 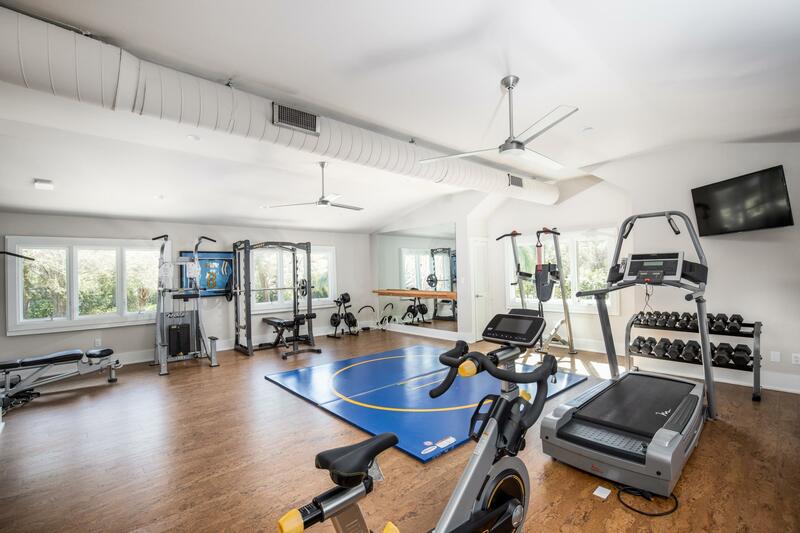 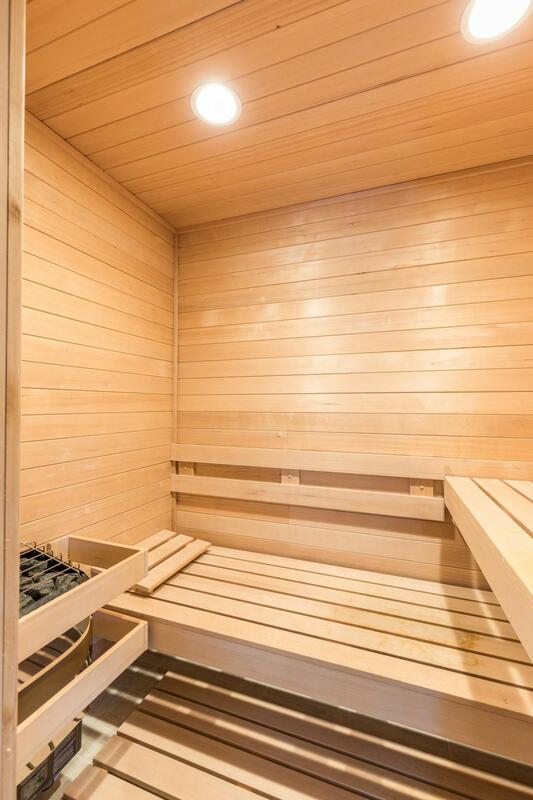 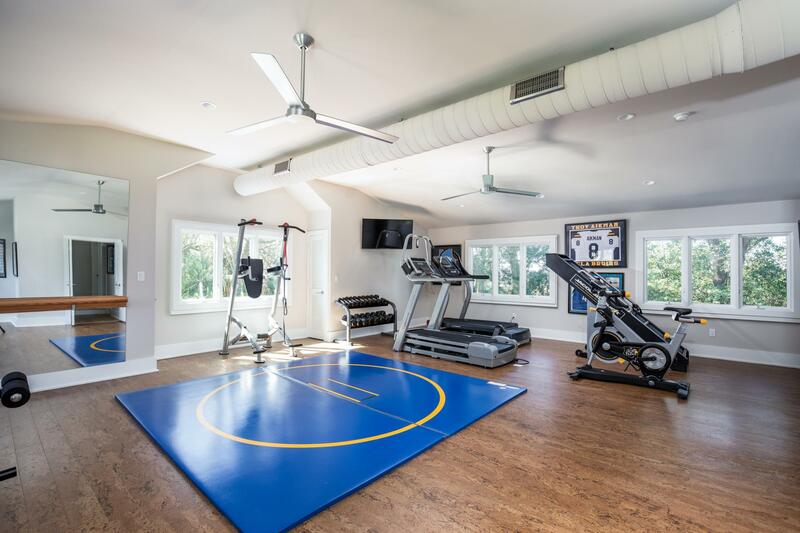 The extensive home gym is complete with cork floor and a sauna. 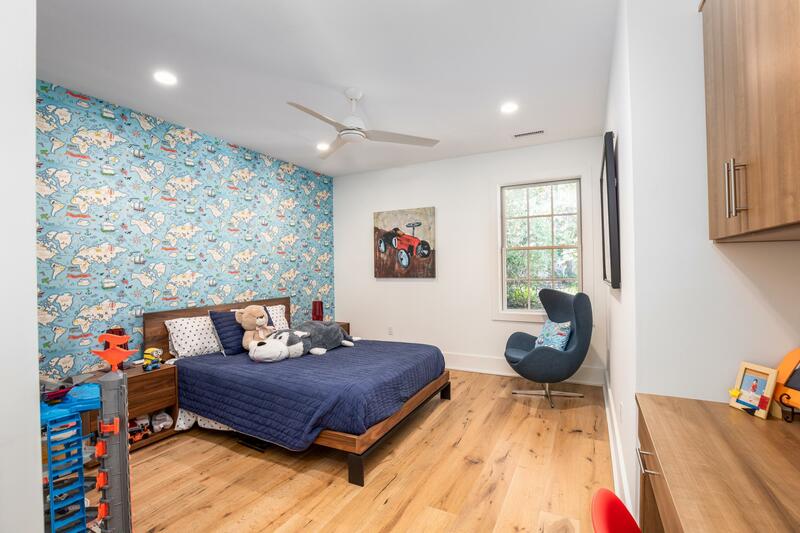 The playroom has built-ins and TV, could be a 5th bedroom. 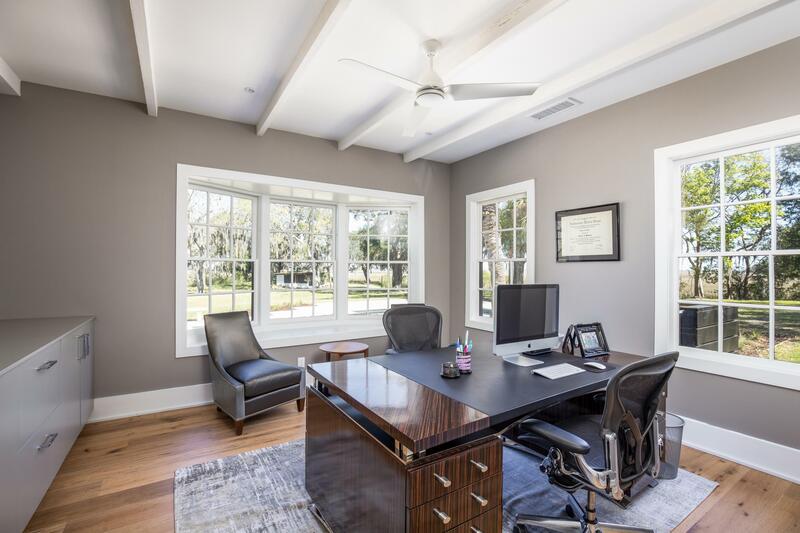 The light-filled office, also with built-ins, is conveniently located with fabulous views. 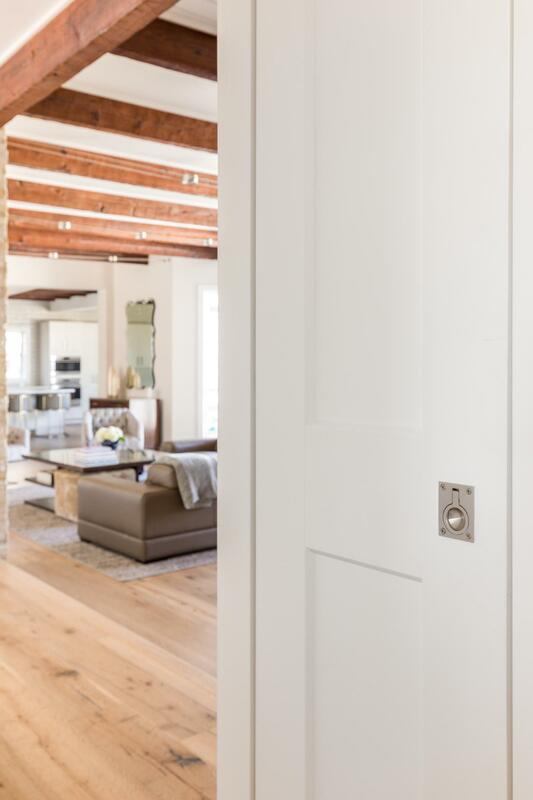 The Control 4 Automation provides remote access to systems control. 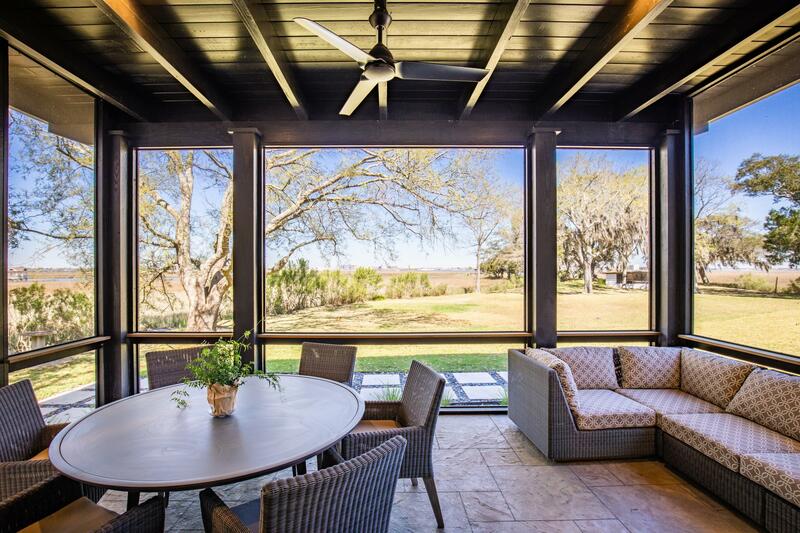 The kitchen, screened porch and living room open onto the swimming pool setting. 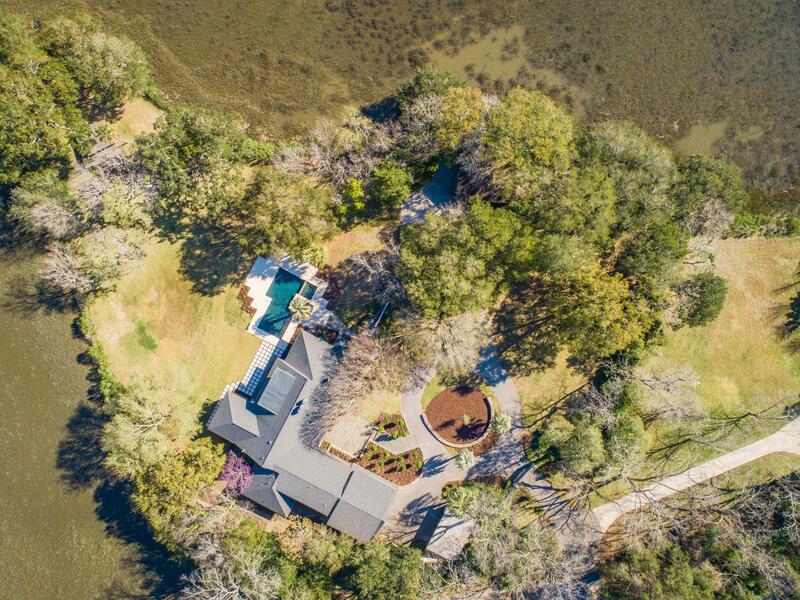 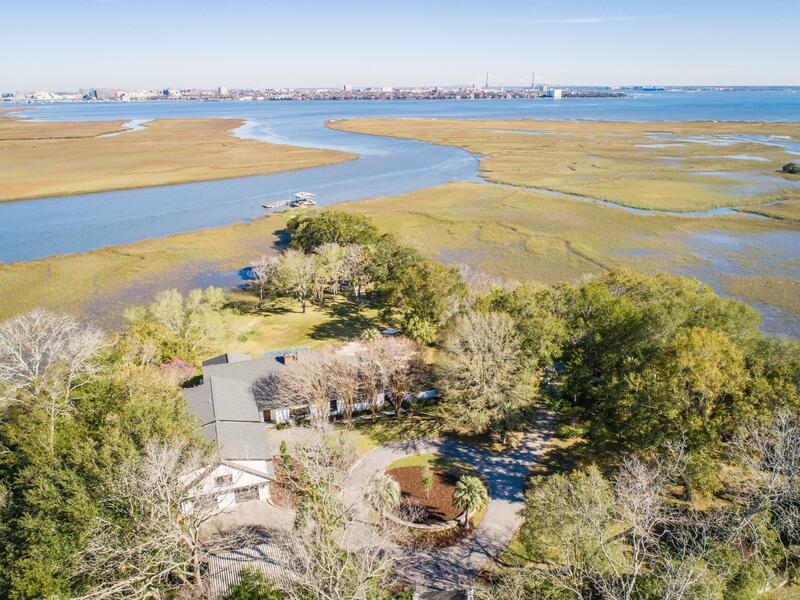 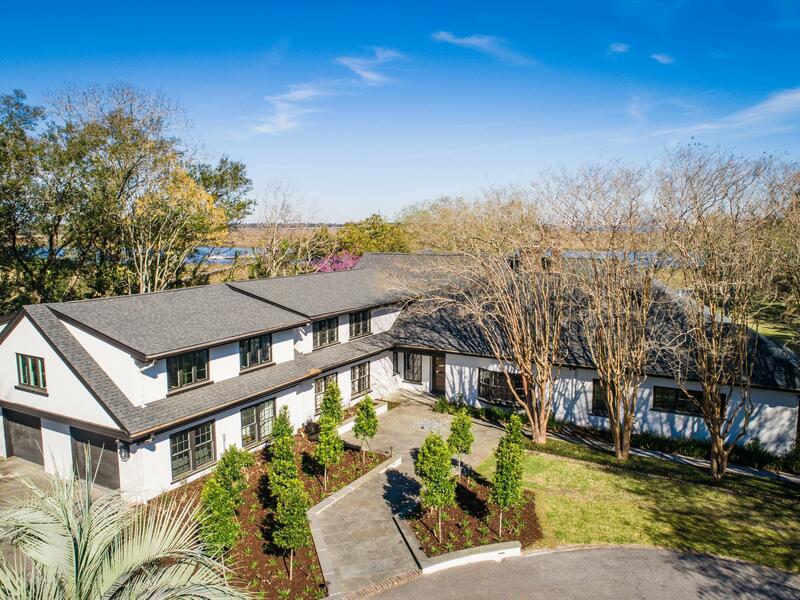 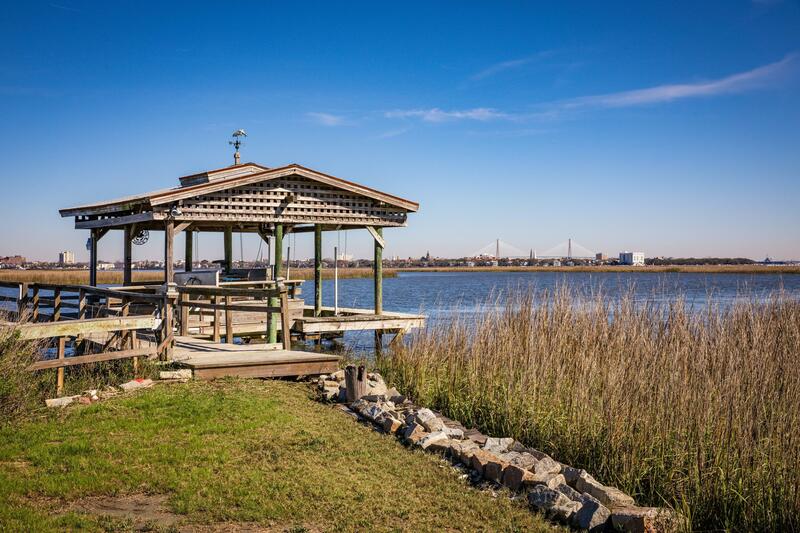 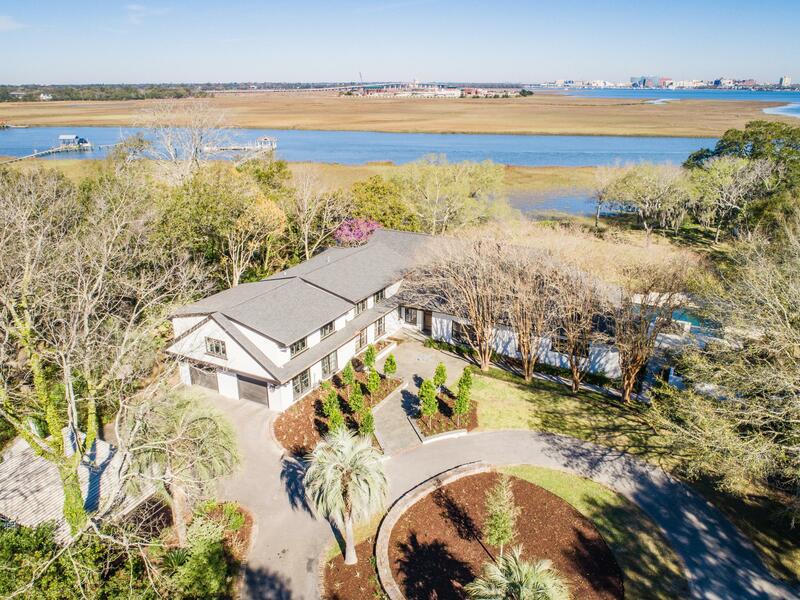 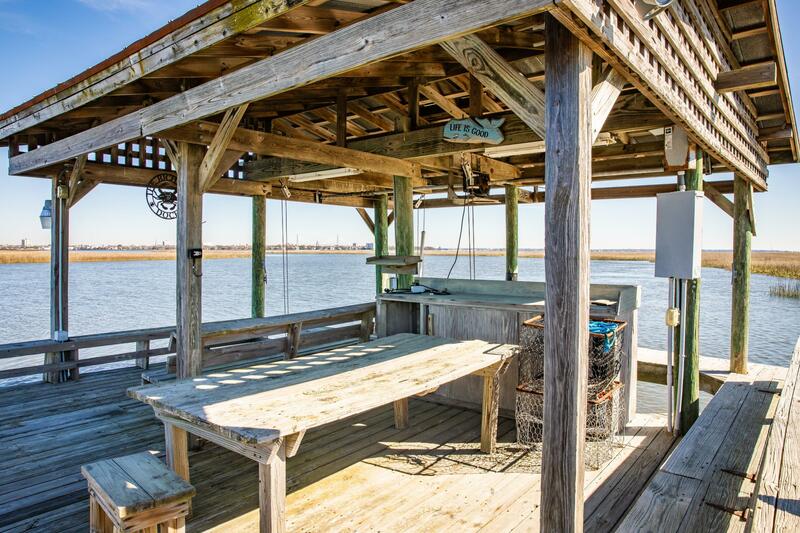 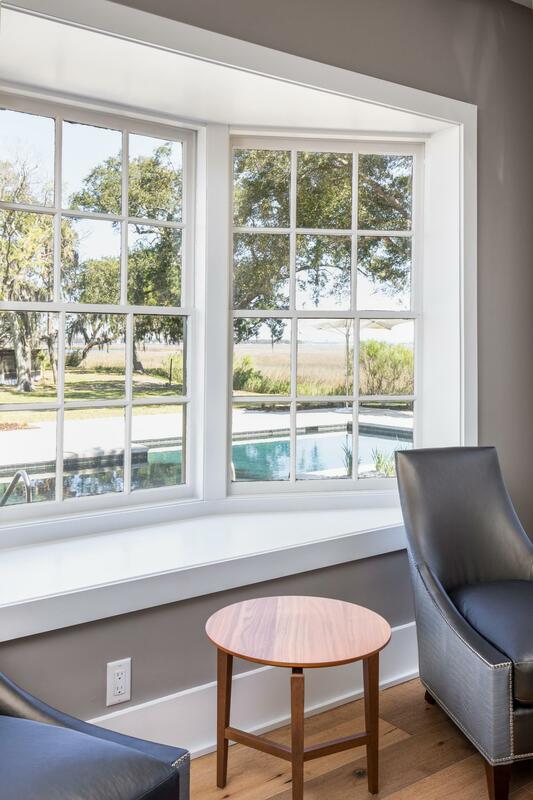 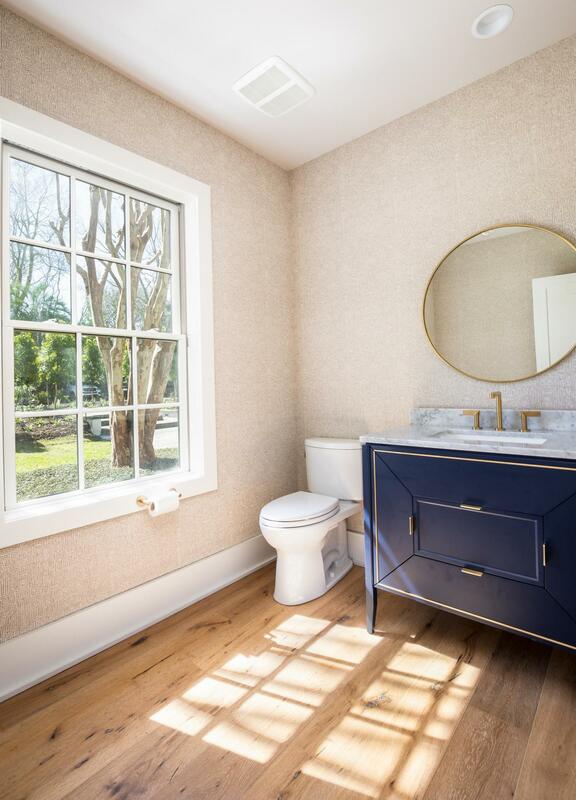 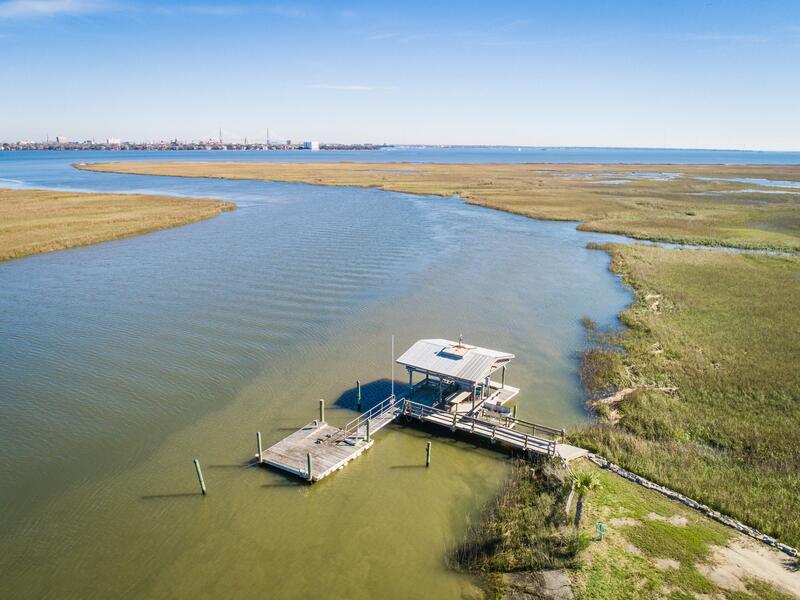 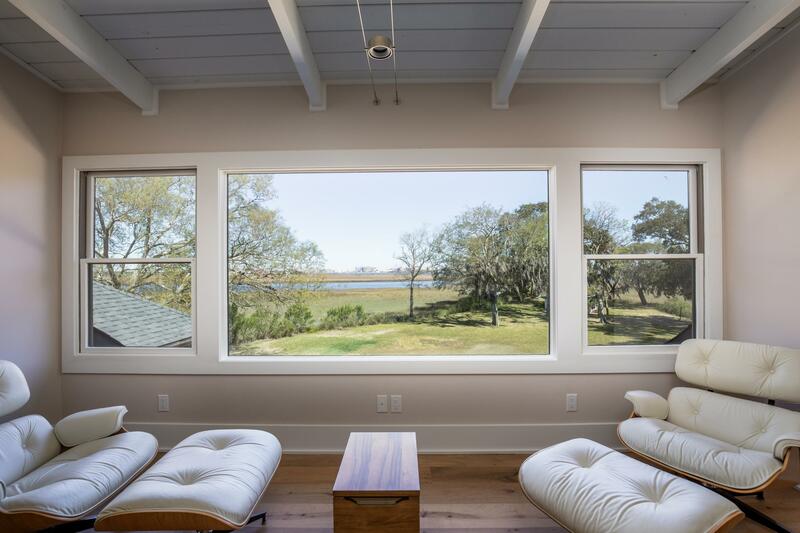 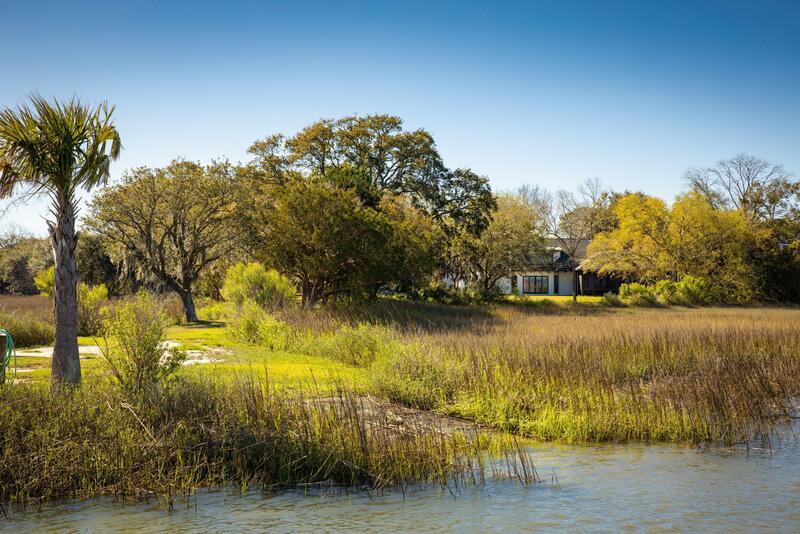 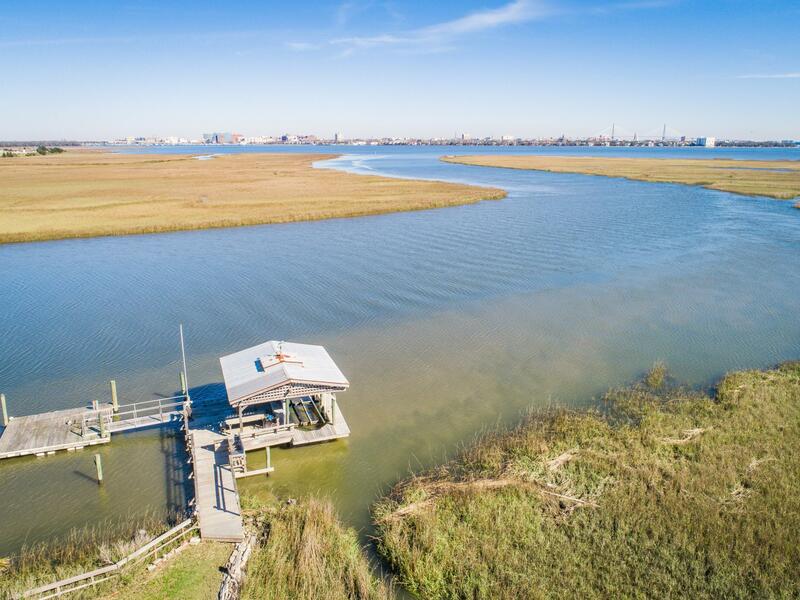 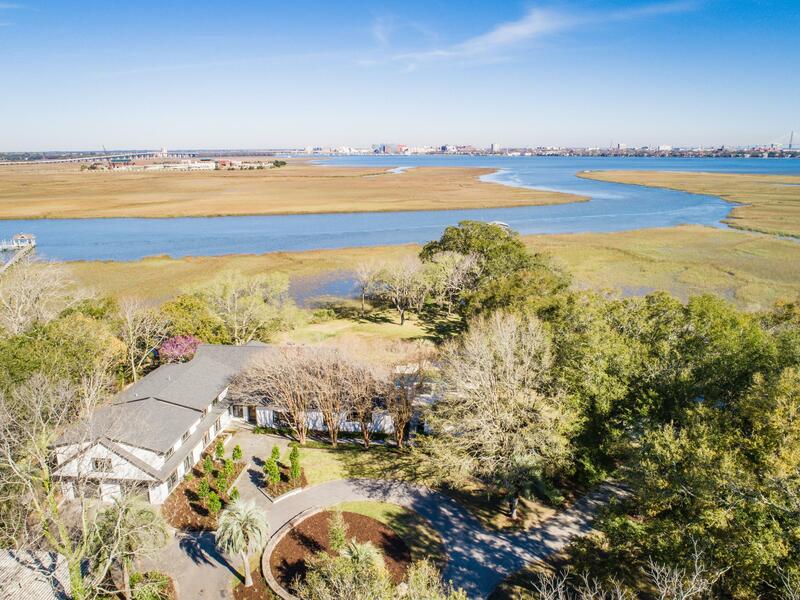 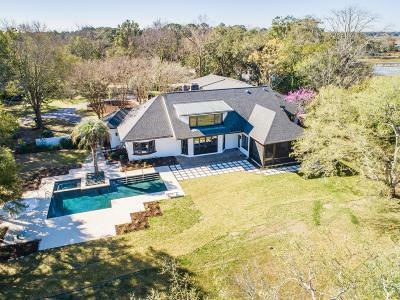 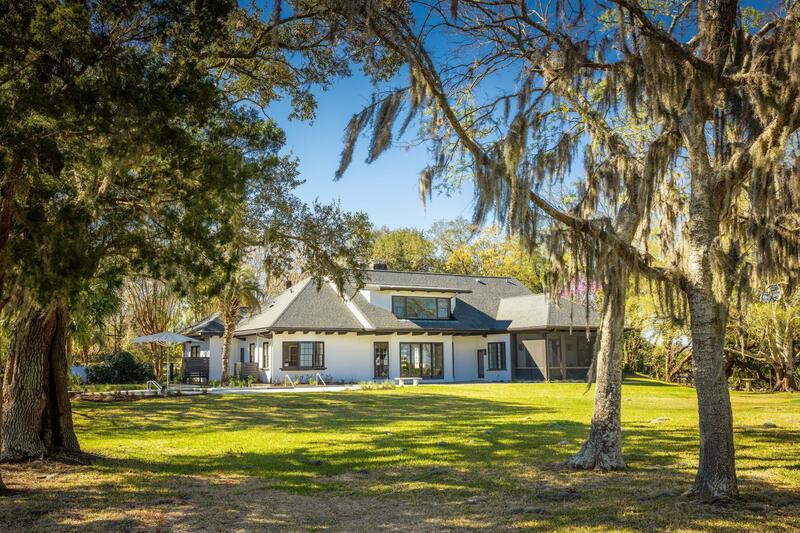 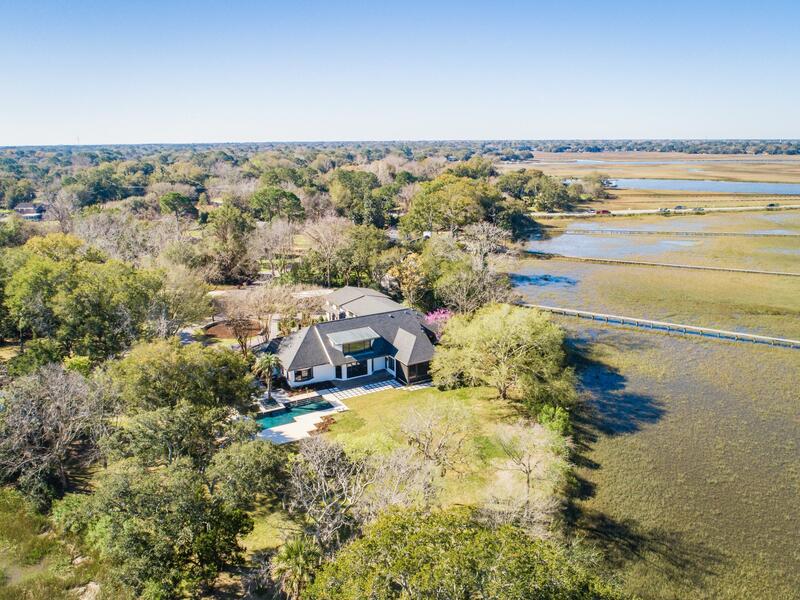 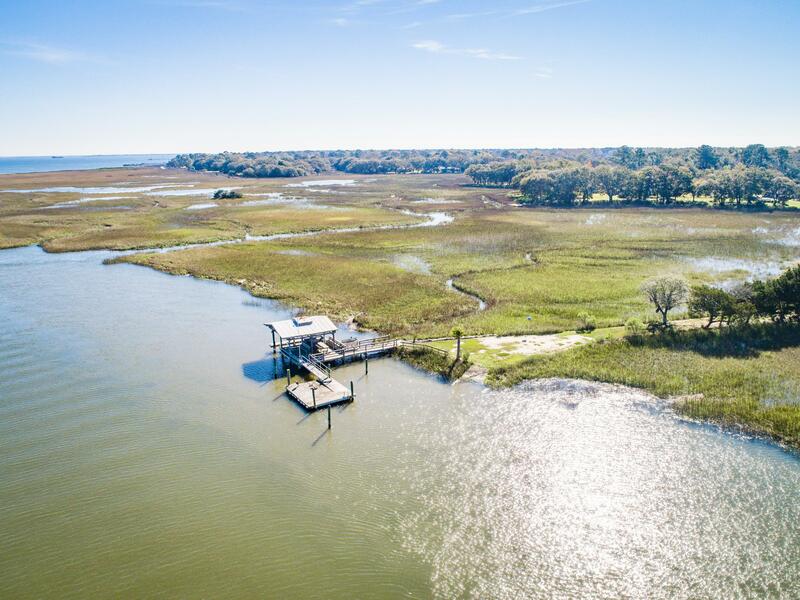 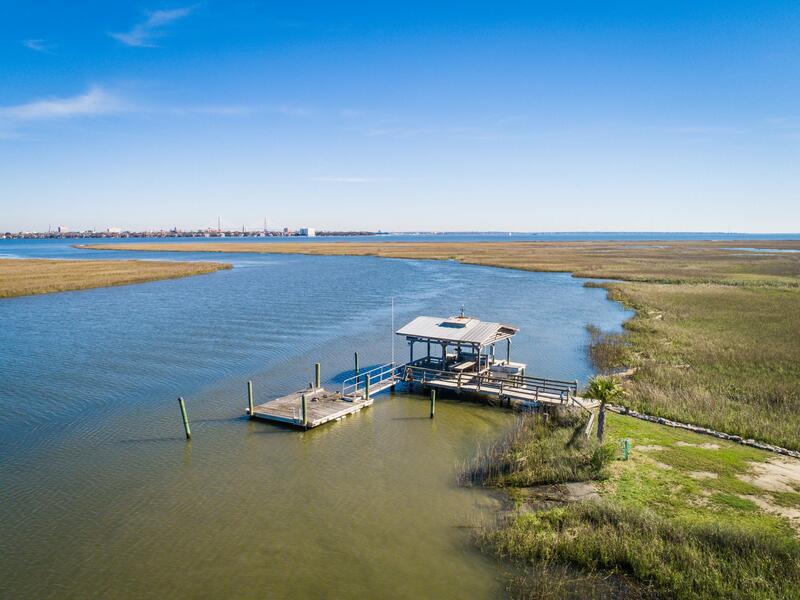 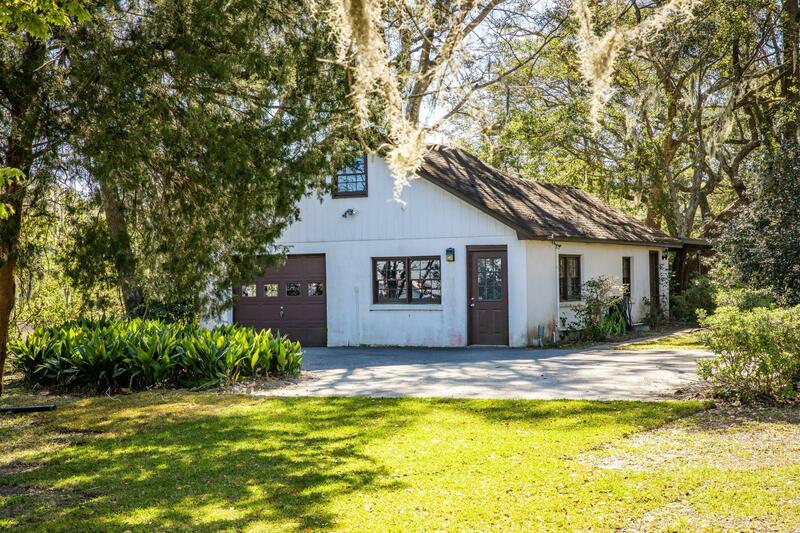 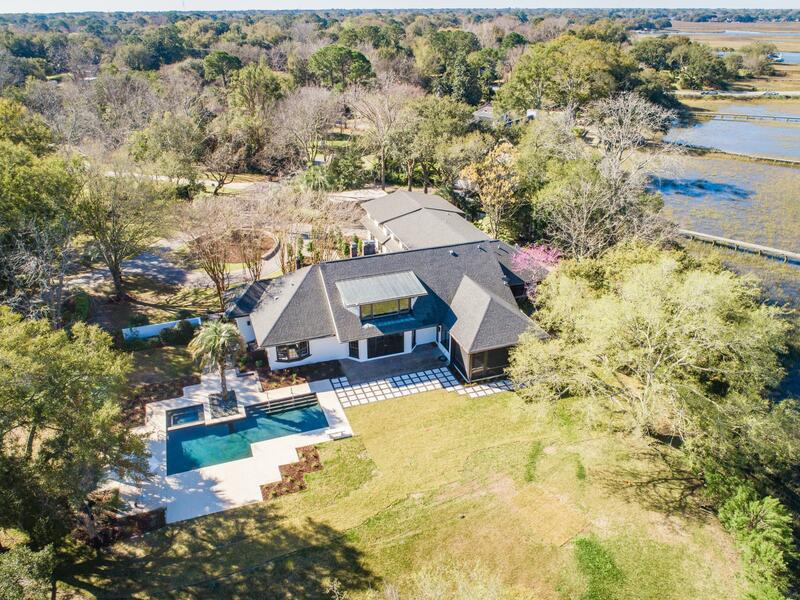 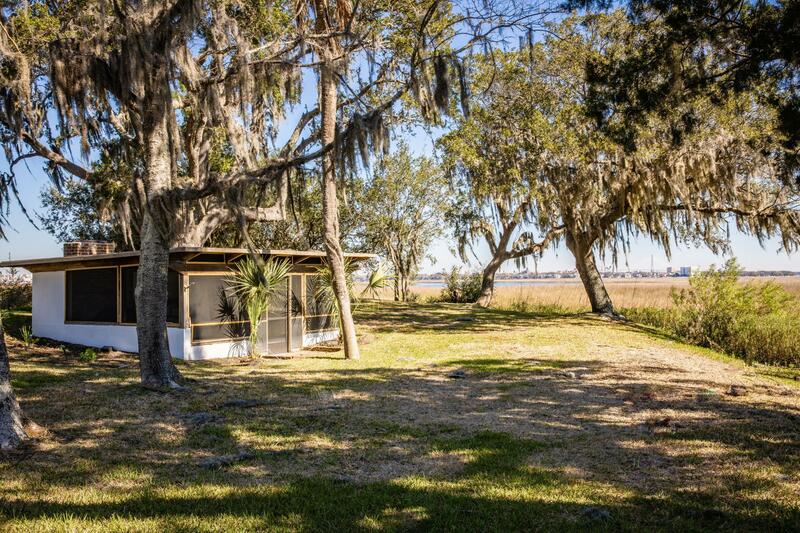 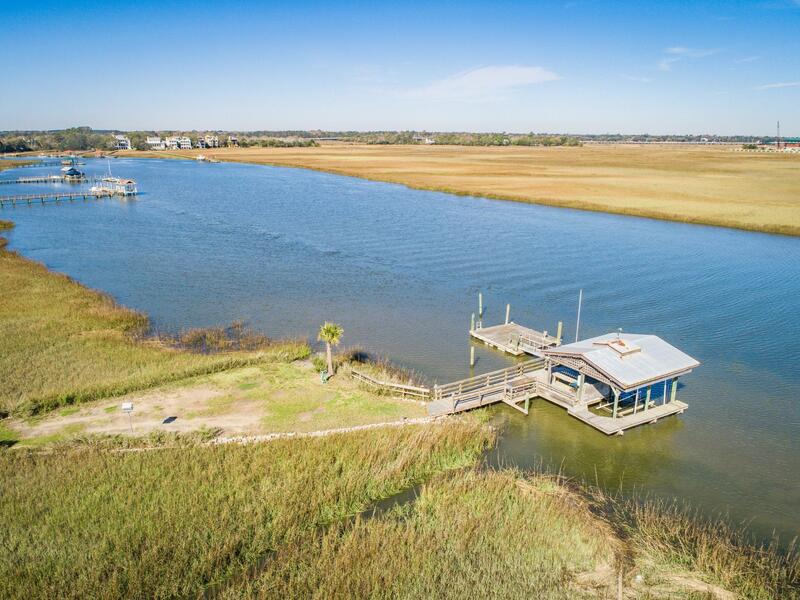 The landscaping is perfect with majestic trees, crepe myrtles, and rolling lawn leading to an oyster house with fireplace, dock and another building with electricity and plumbing that would make a great guest house. 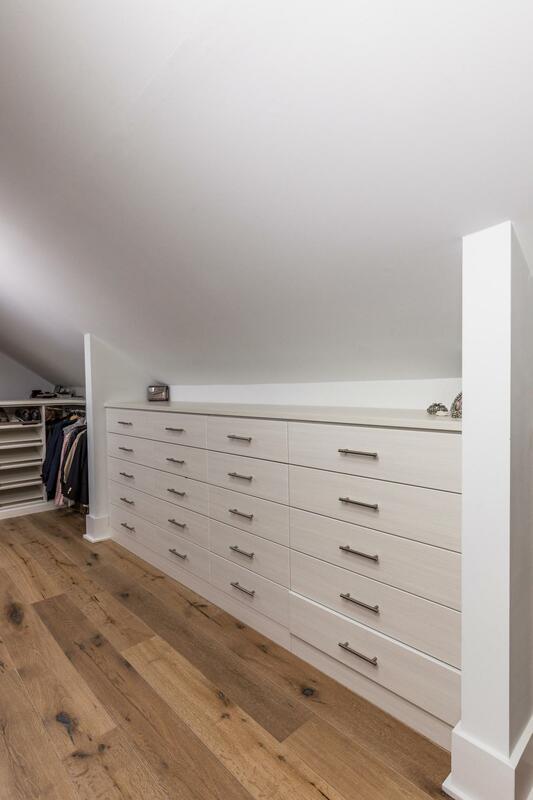 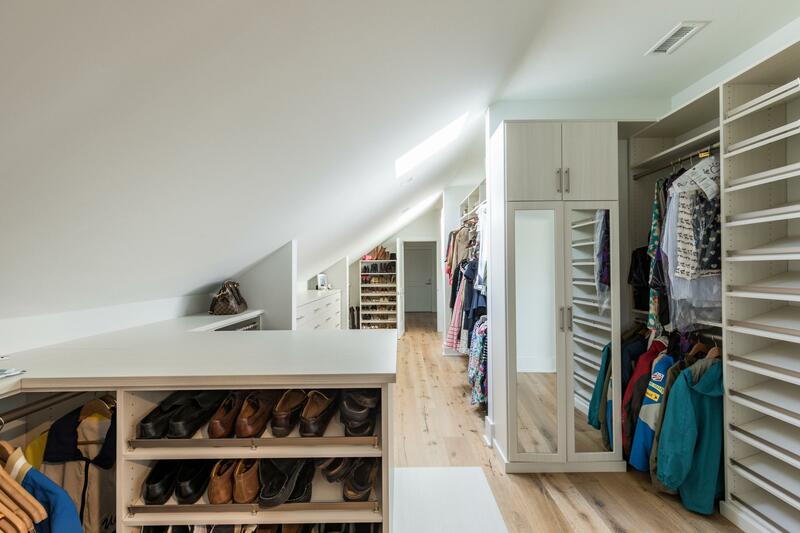 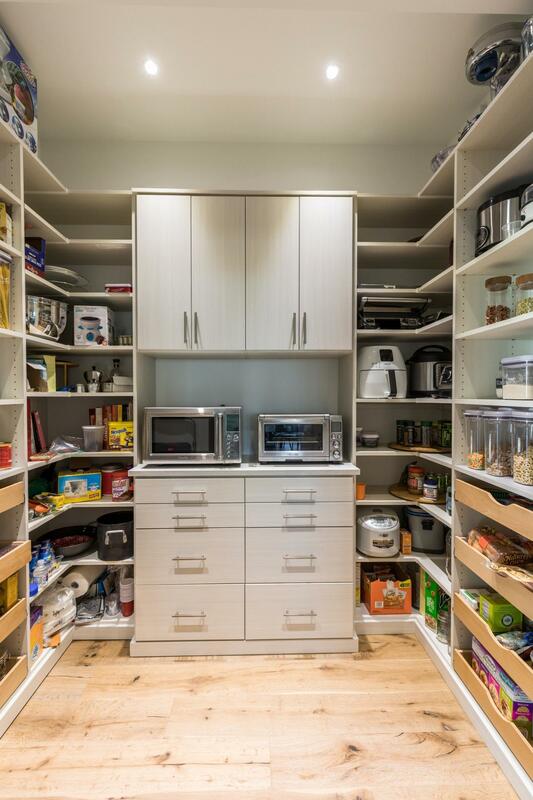 The home boasts generous storage throughout. 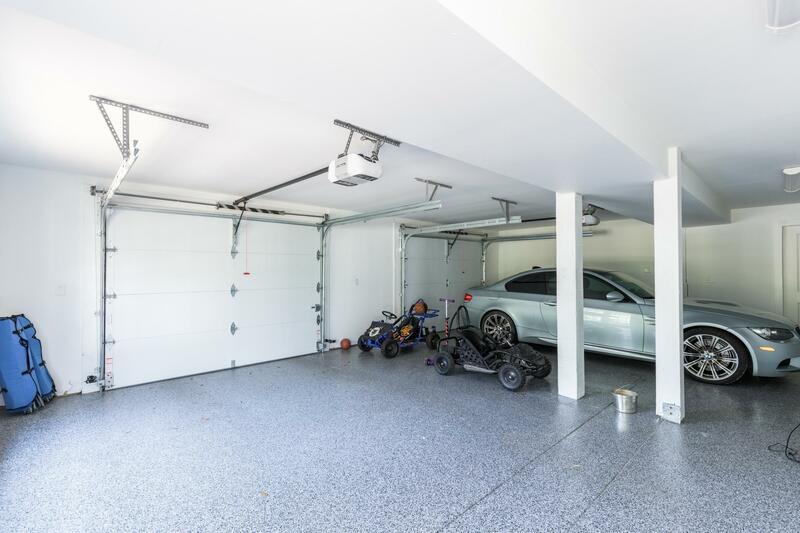 There is parking for two and storage in the attached garage, plus a carport for 3 additional cars, and more parking on the circular driveway and by other buildings. 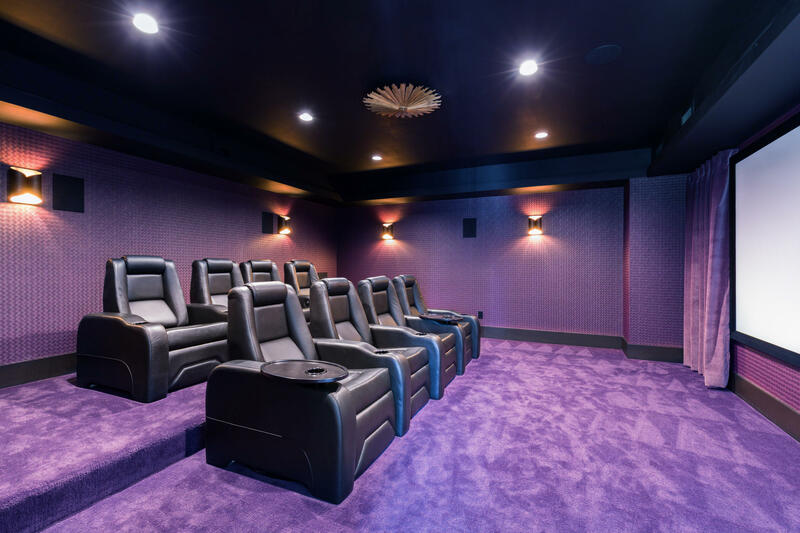 Theater chairs do not convey. 48-hour showing notice please.